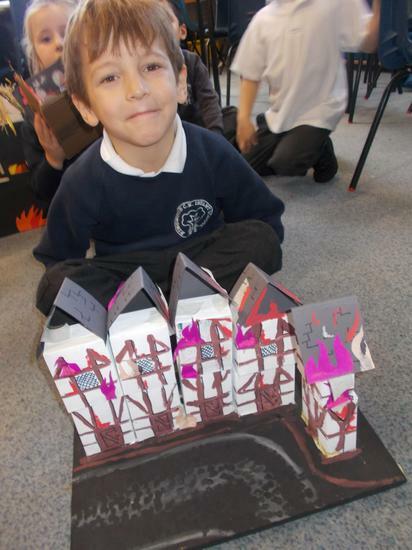 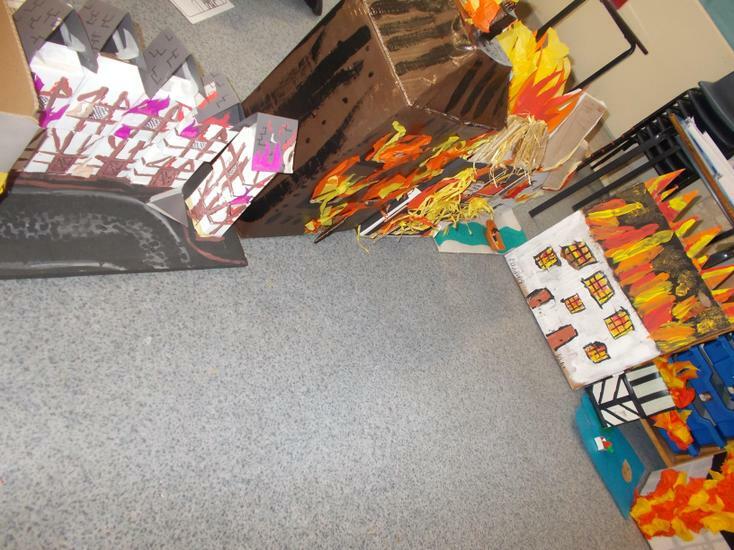 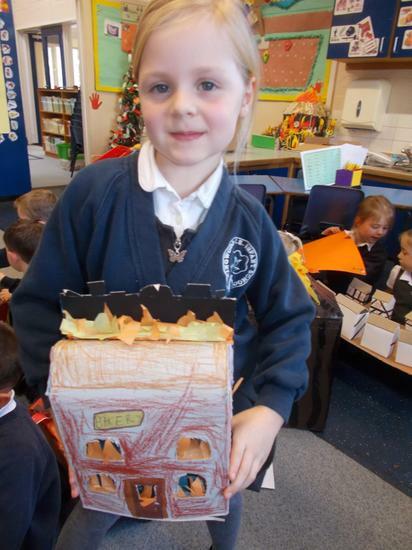 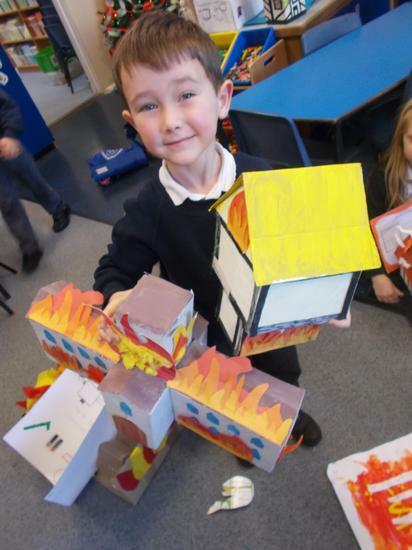 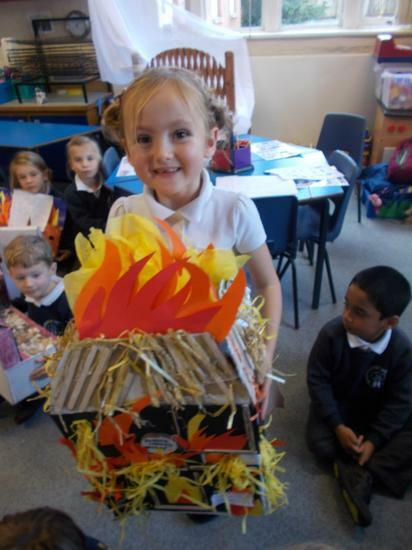 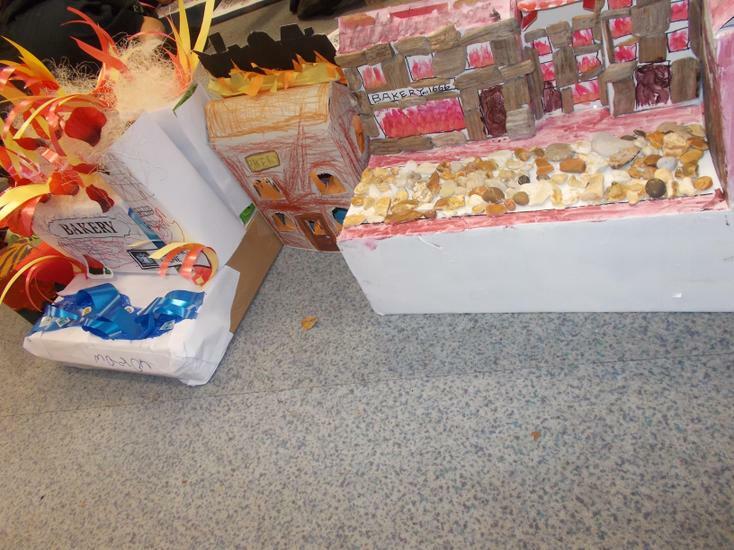 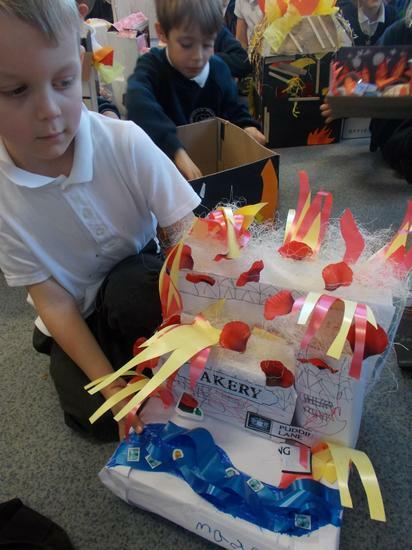 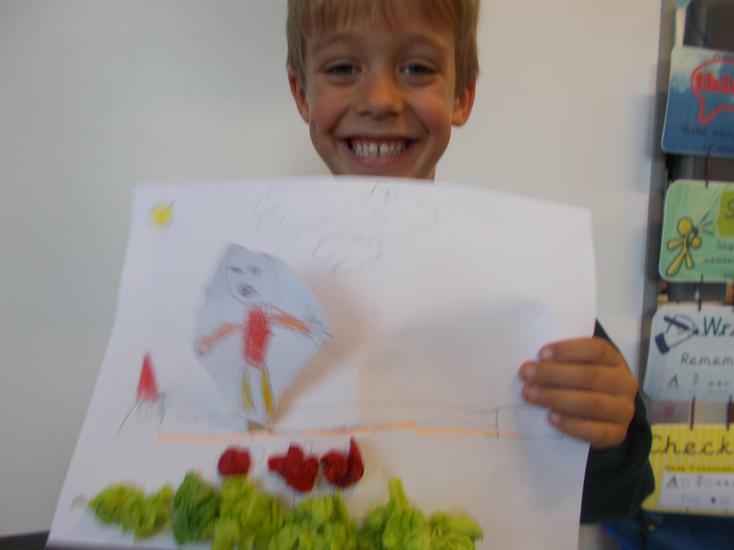 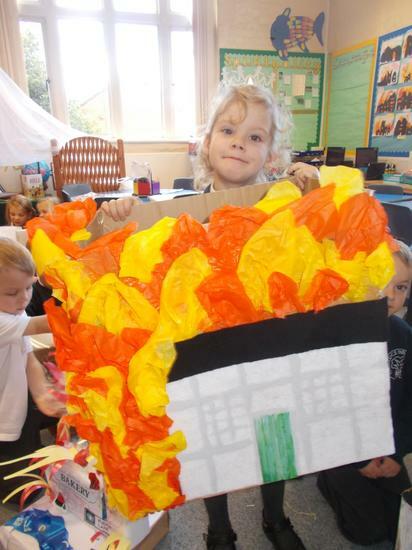 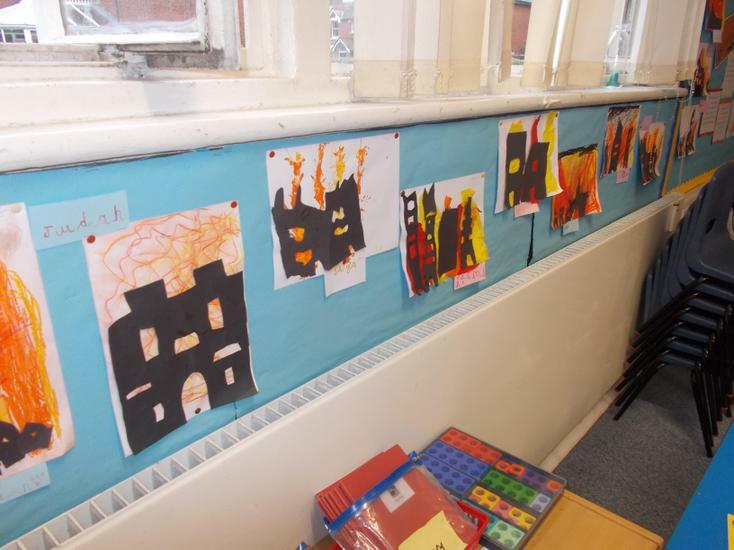 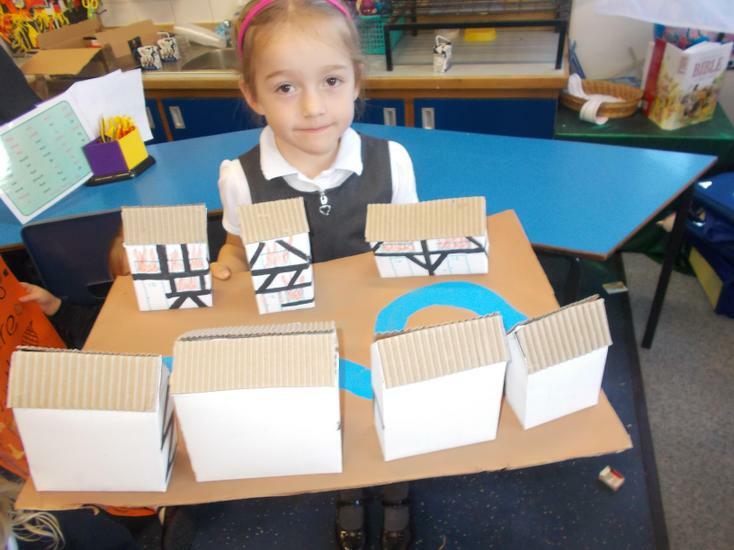 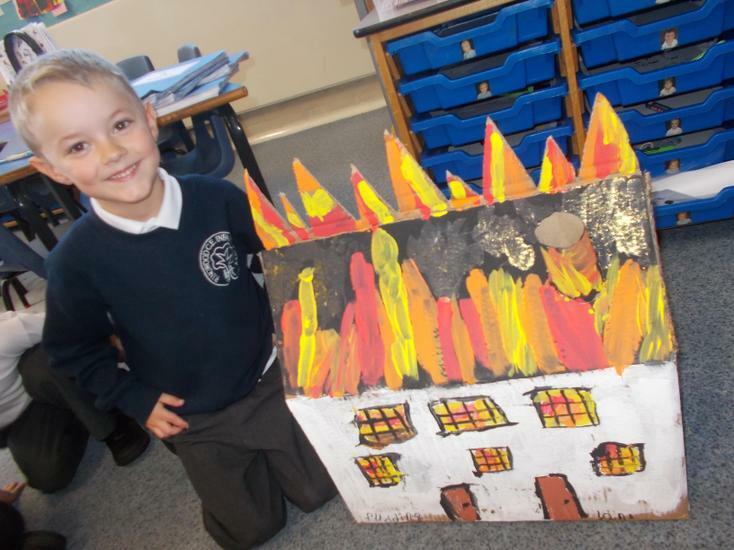 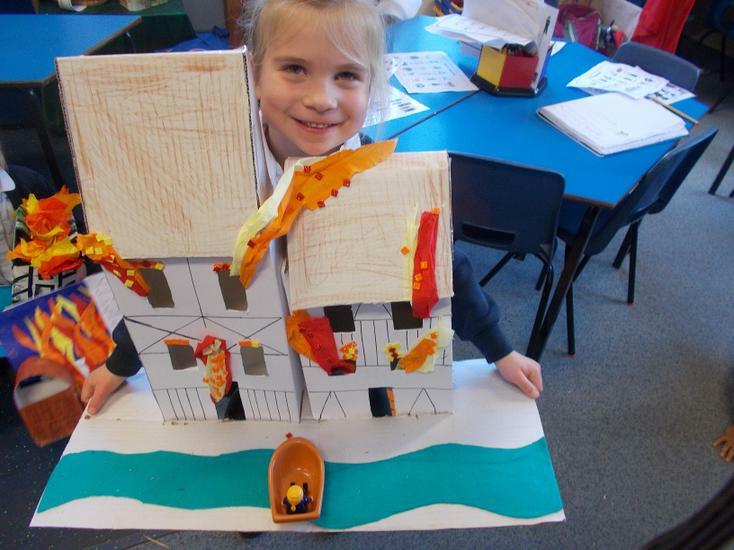 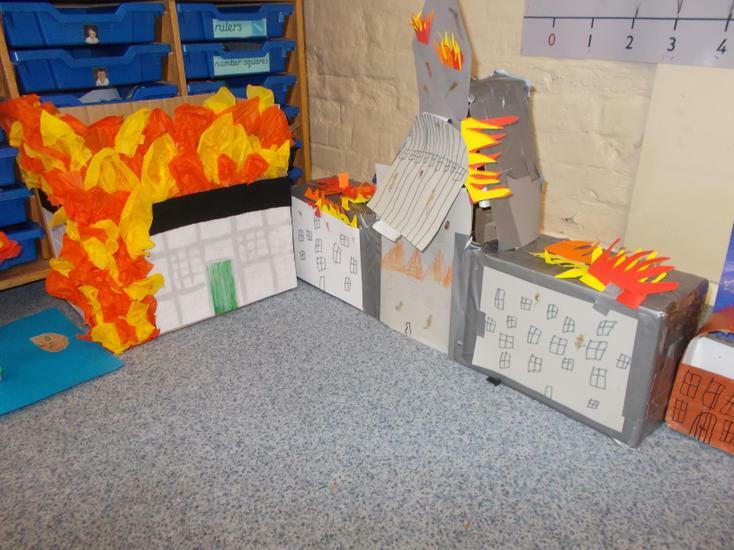 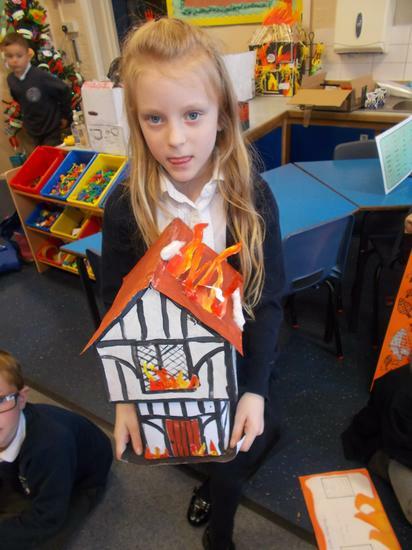 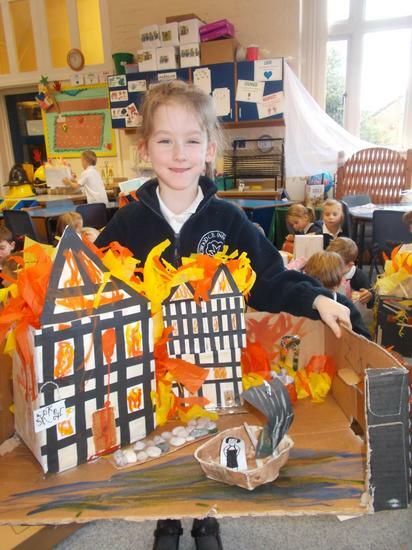 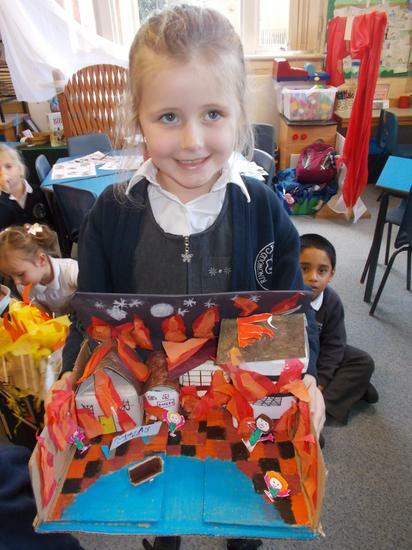 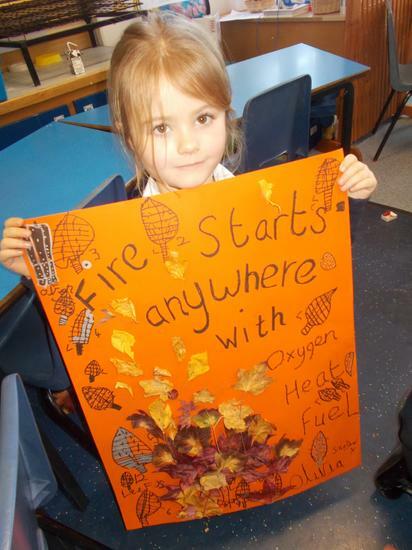 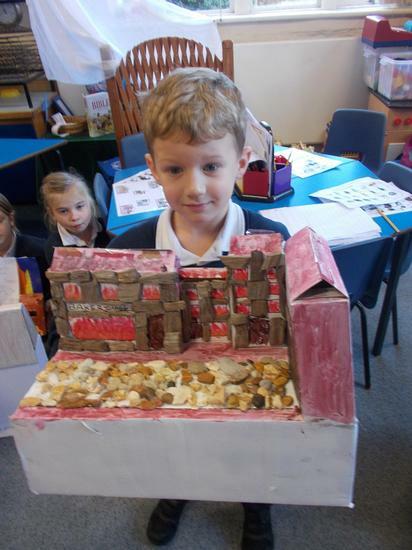 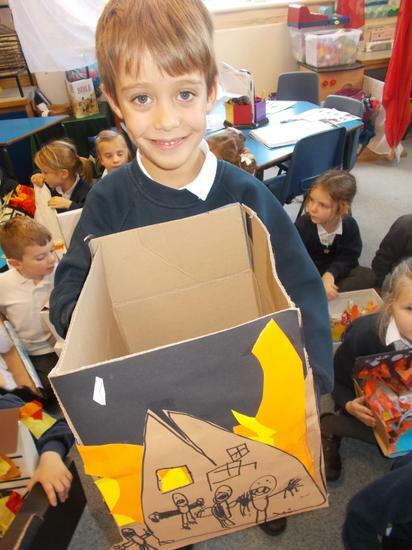 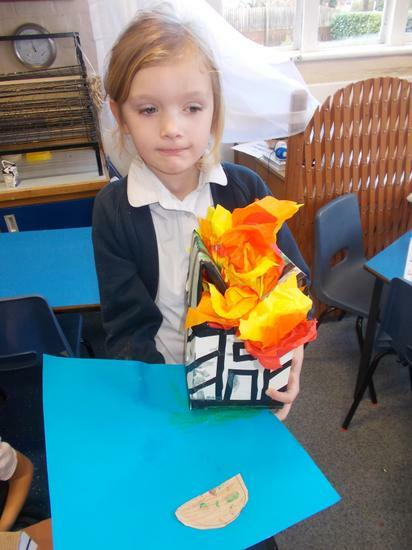 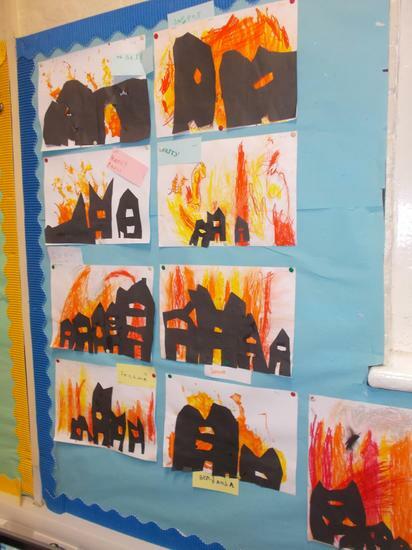 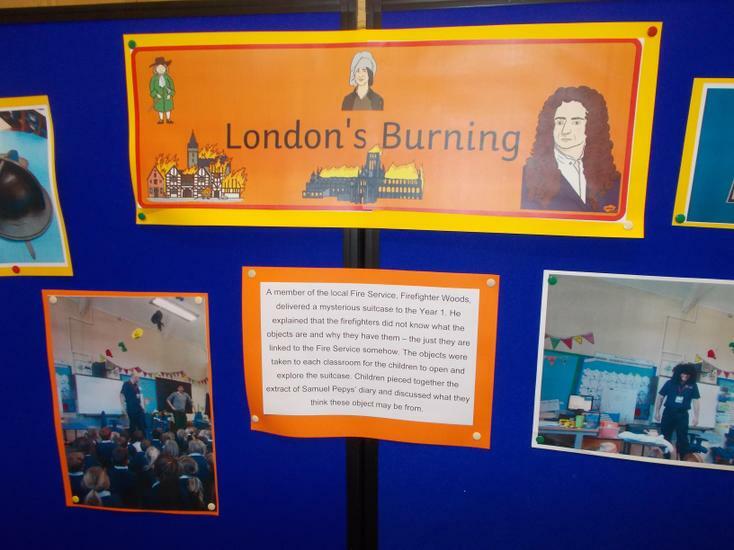 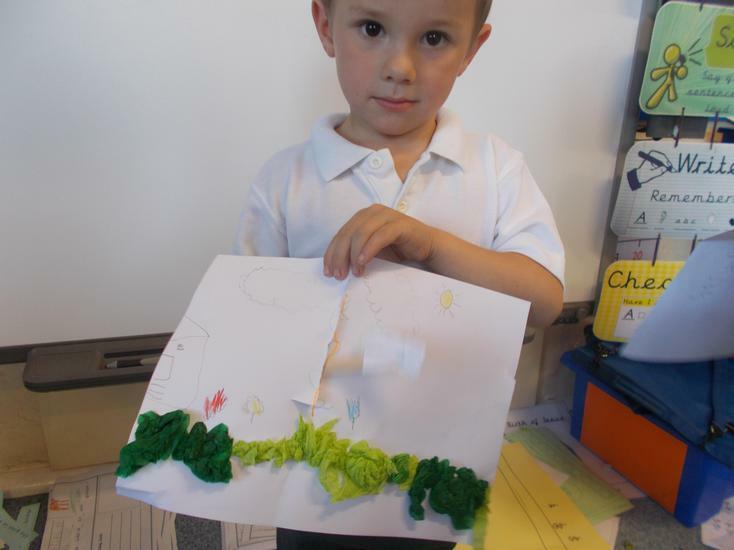 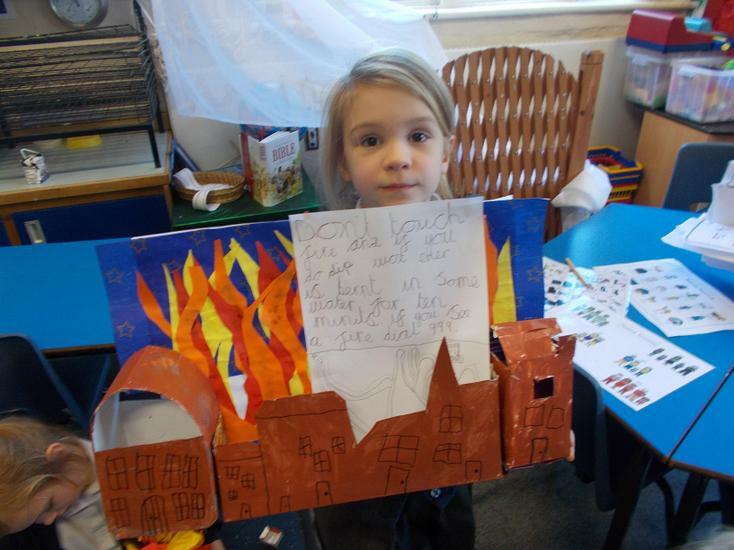 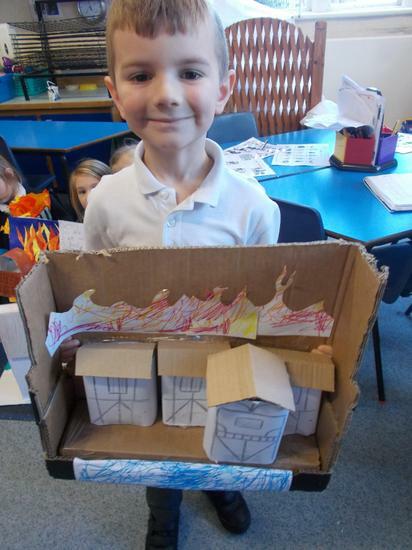 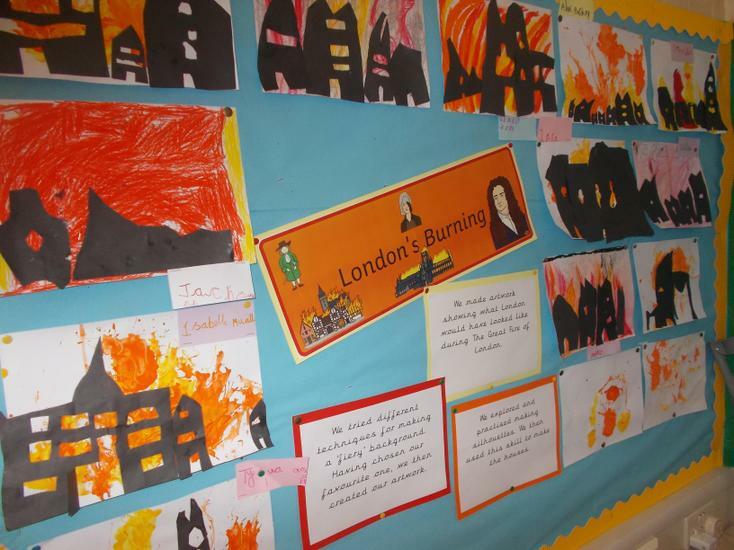 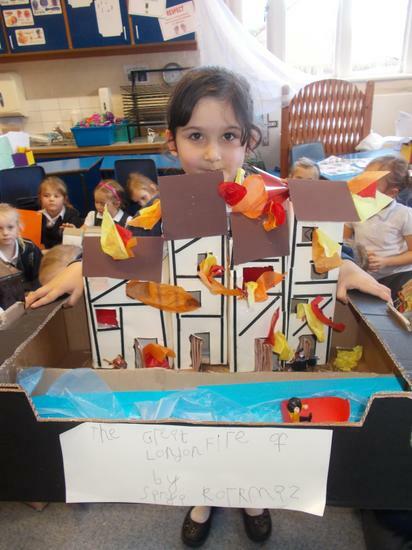 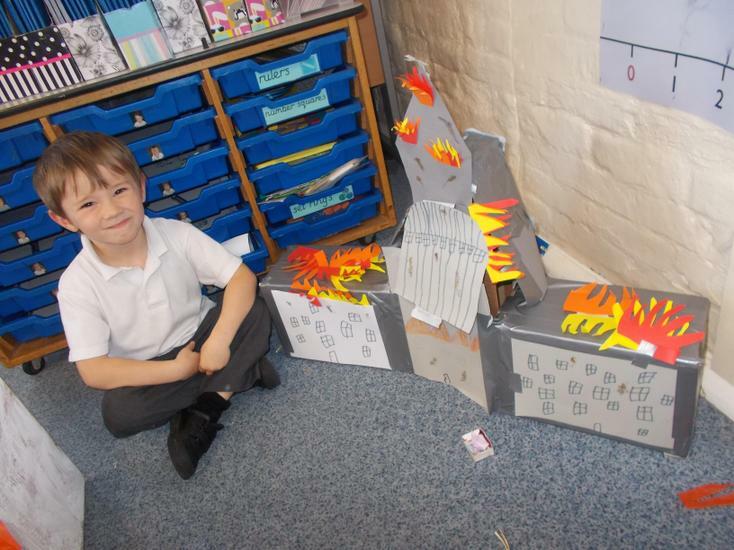 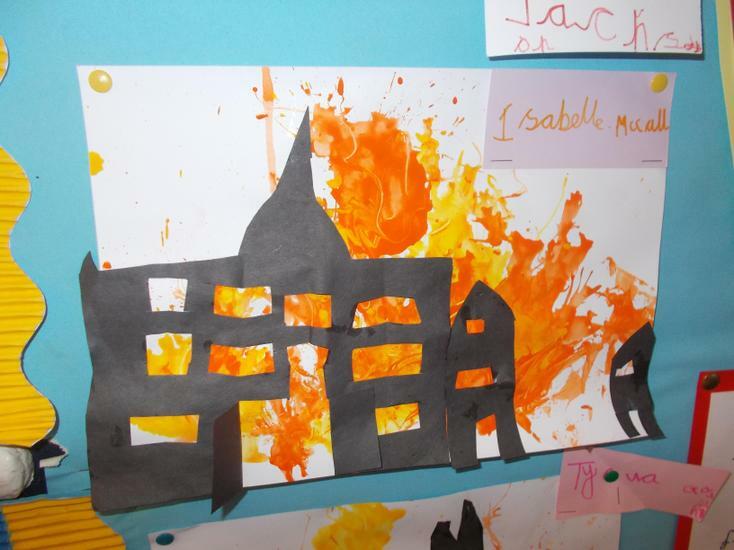 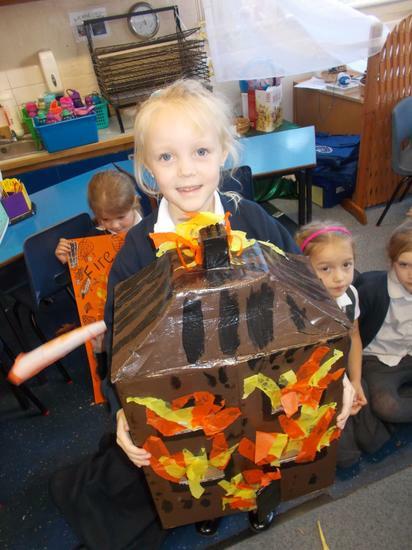 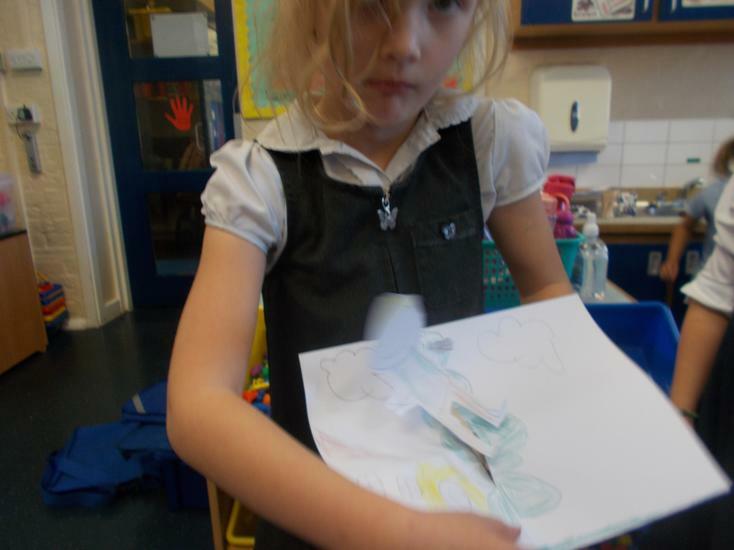 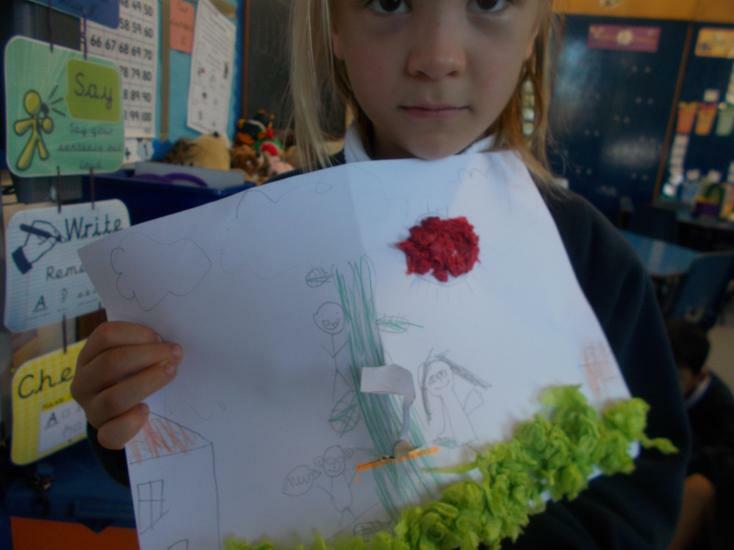 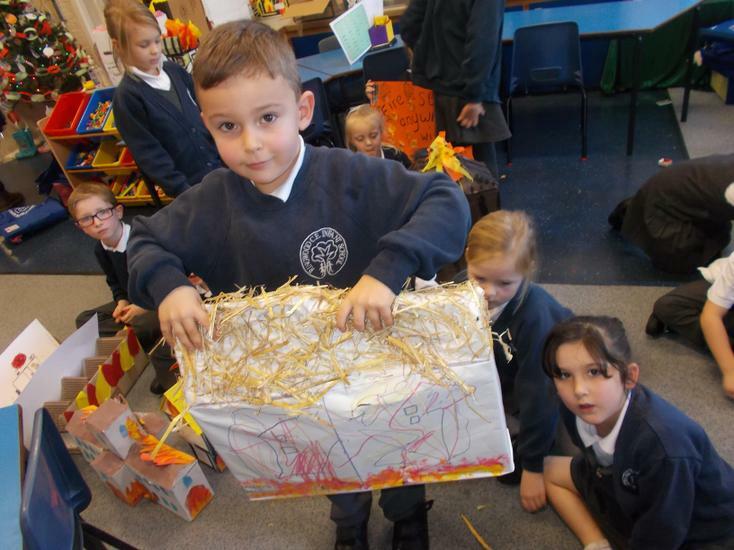 The Home Learning for this IC was either to make a model from London in 1666 or make a 'Fire Safety Poster.' 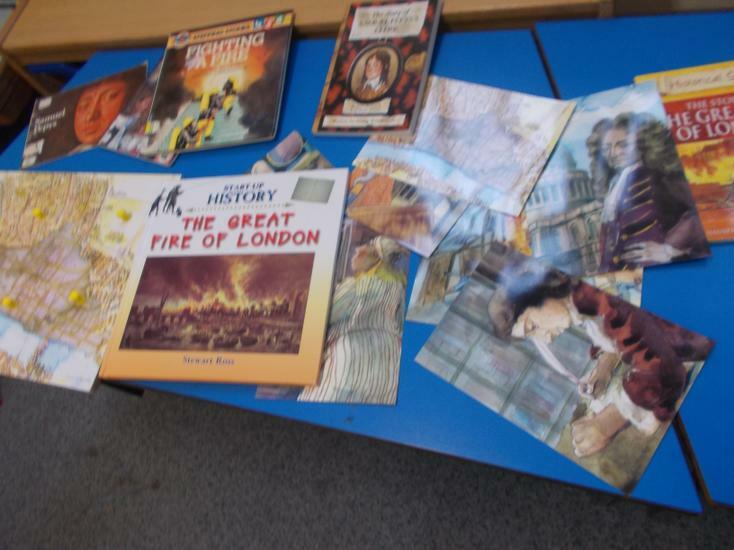 What a collection we got!! 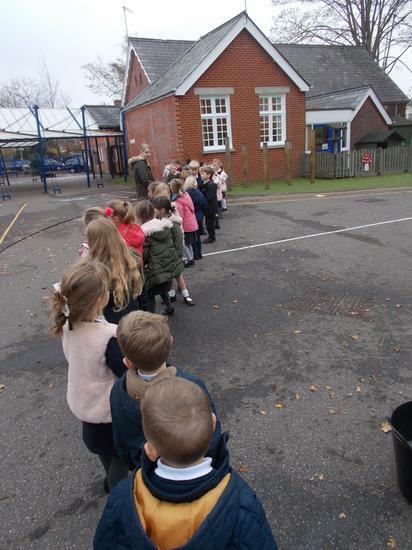 Firefighter James came back into school so that we could teach us about hw fire spreads and the different techniques to put out fire. 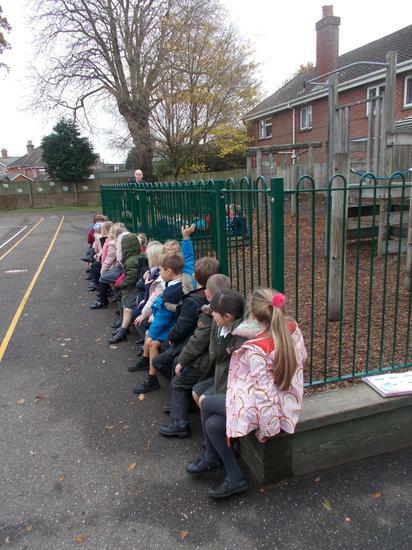 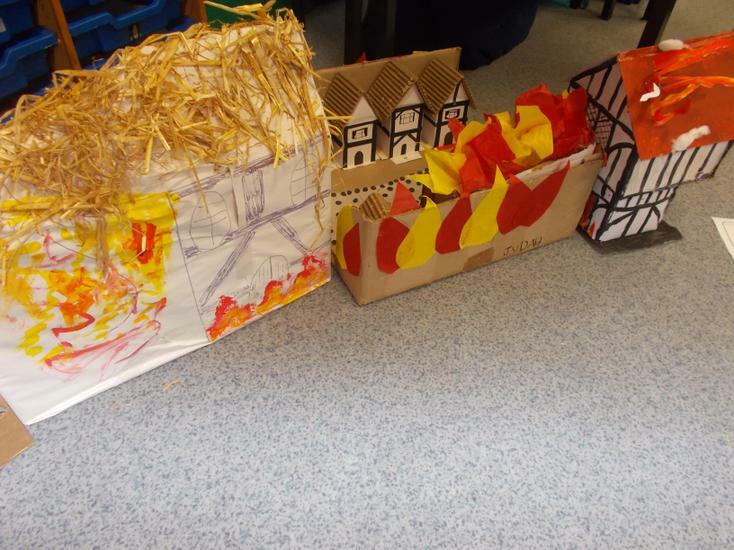 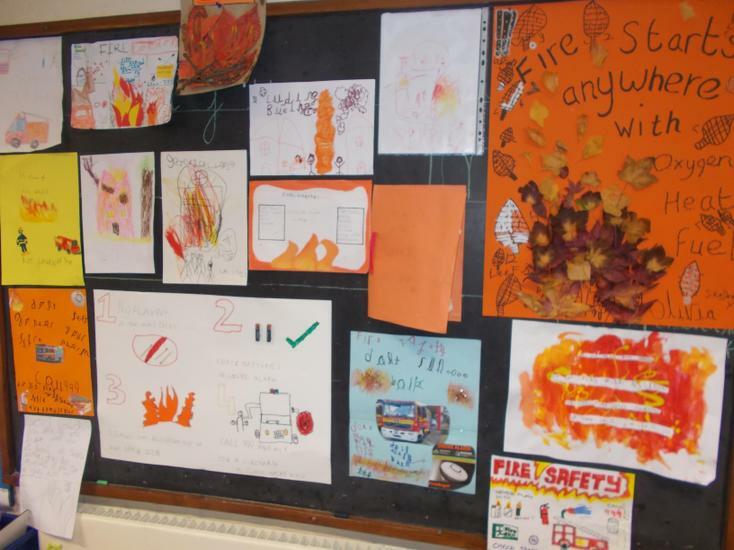 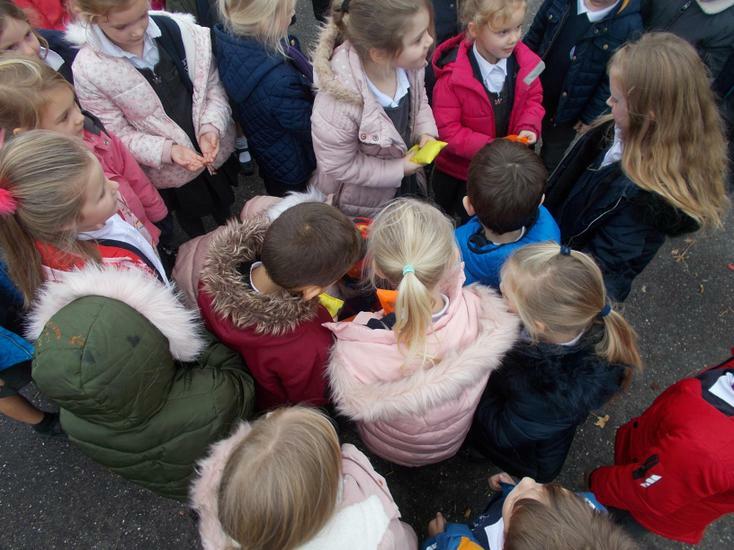 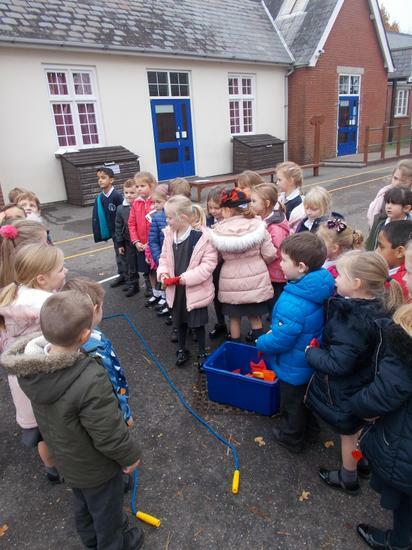 We used red, yellow and orange bean bags and saw how easy it was for fire to spread when we were close together. 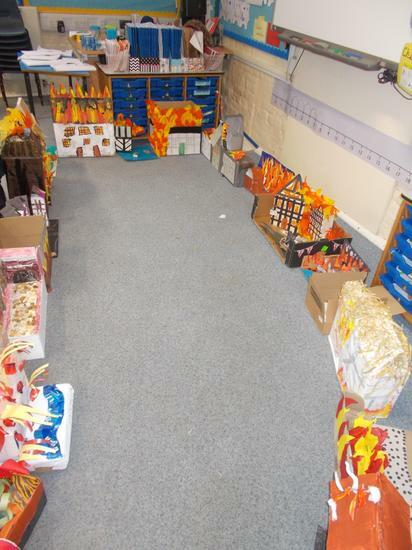 Then, when we added a river or pulled some houses down, the fire couldn't spread anymore. 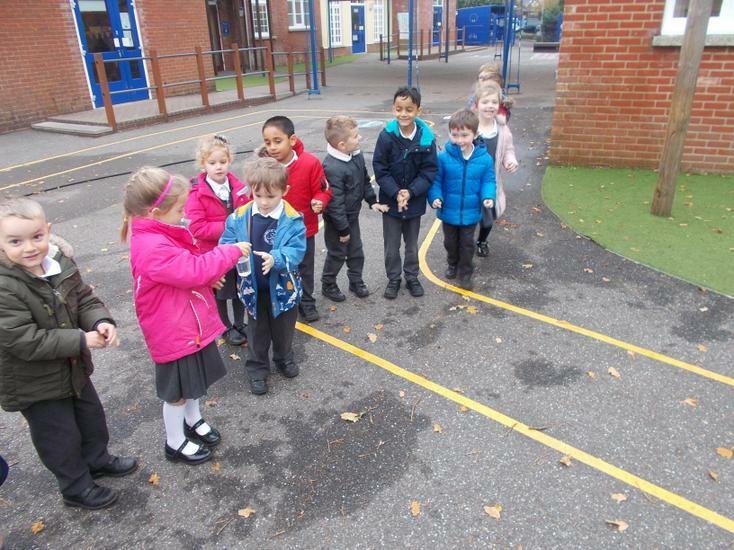 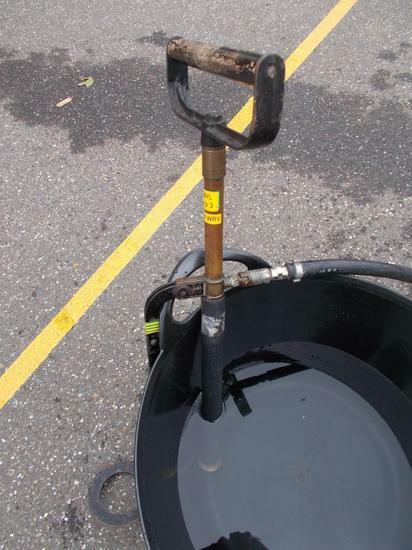 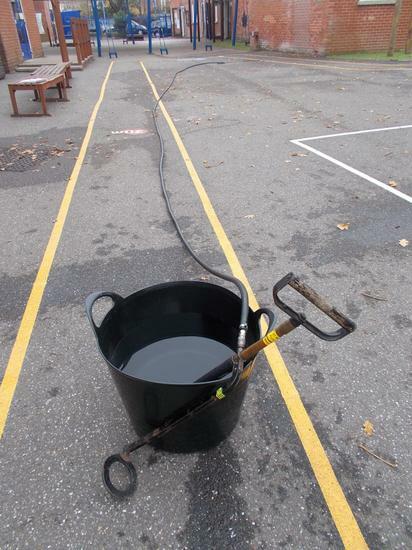 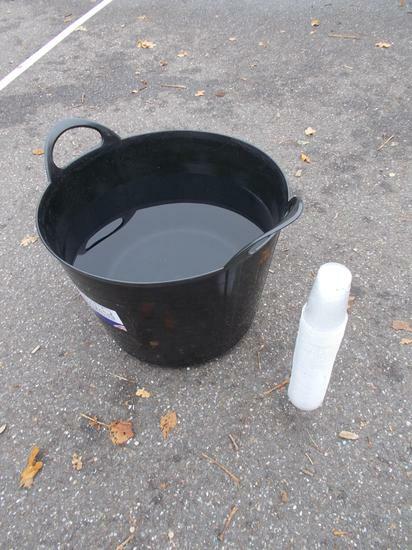 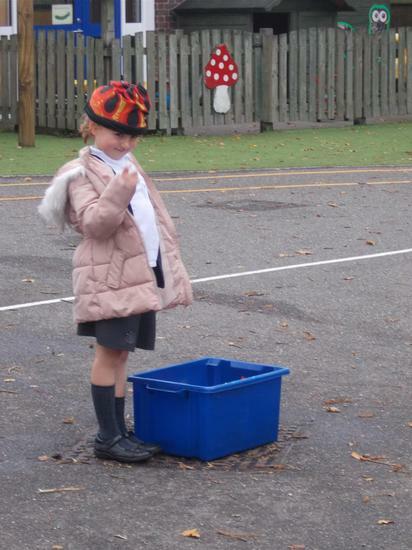 We then explored a bucket chain, and found that using a hose was quicker and more effective. 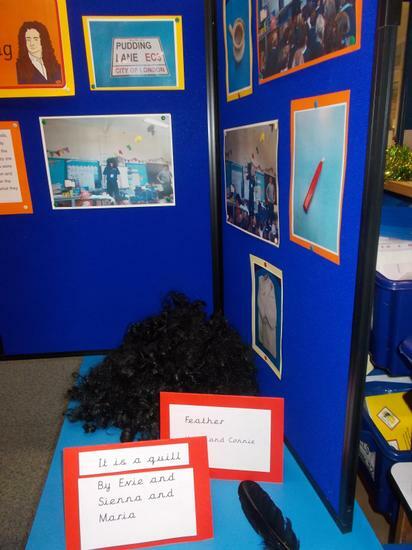 What a mystery!! 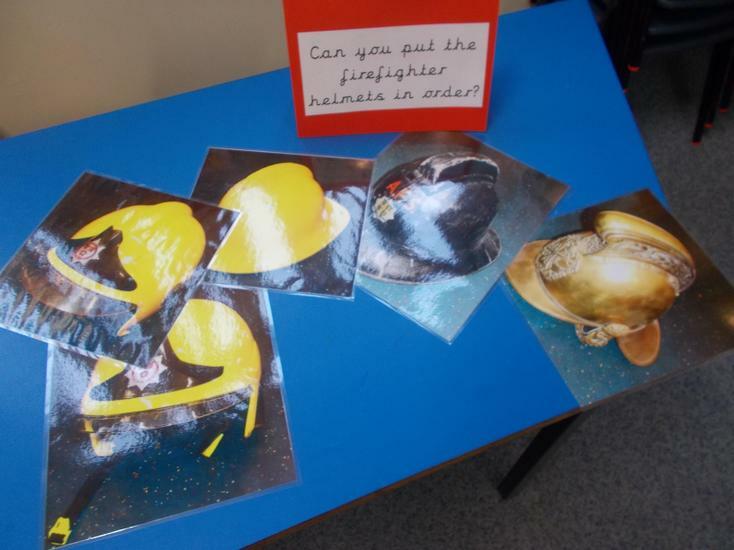 Firefighter James came into school today with a problem. 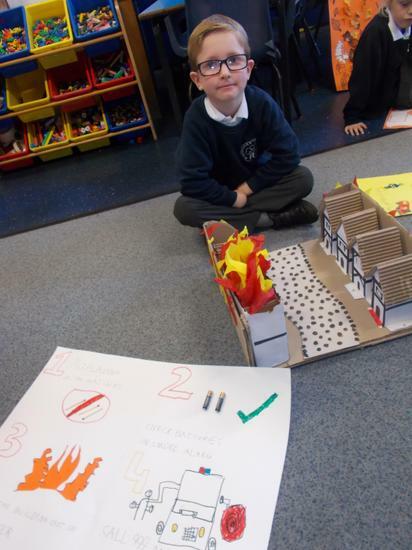 He had found a suitcase in the fire station where he works, but doesn't know why it was there and what the items are that are inside. 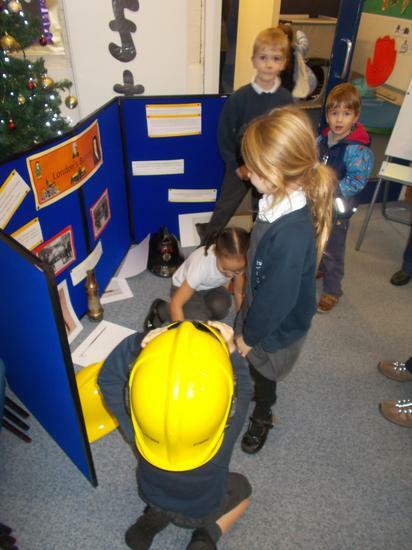 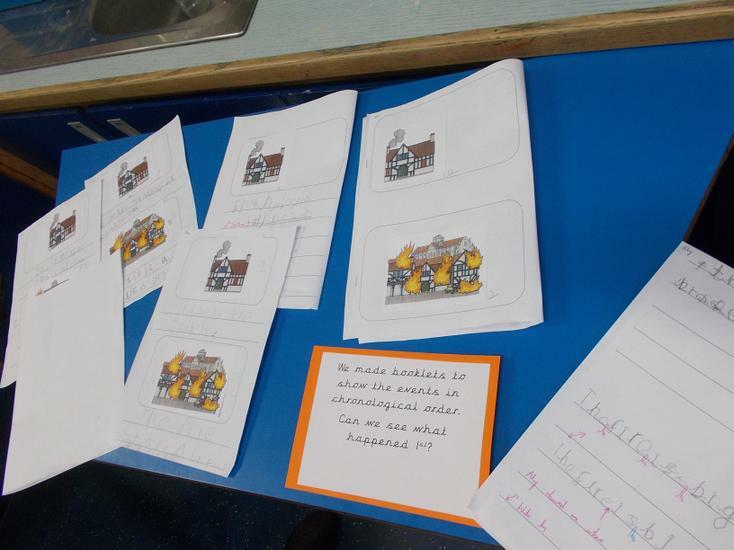 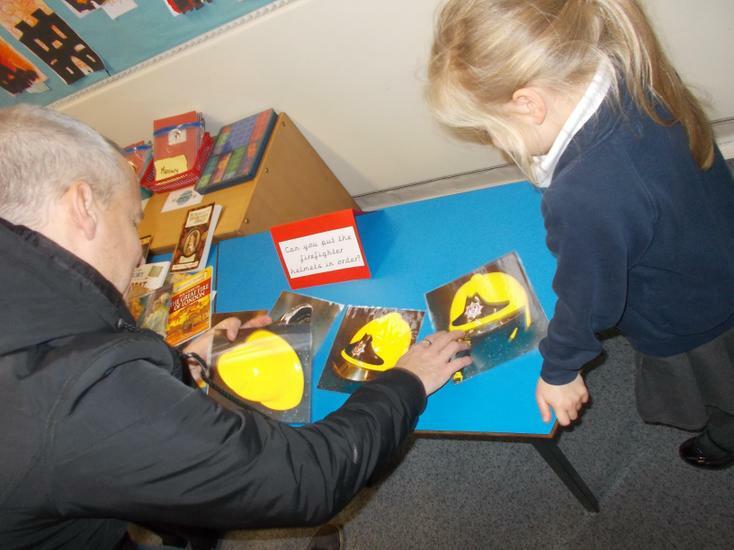 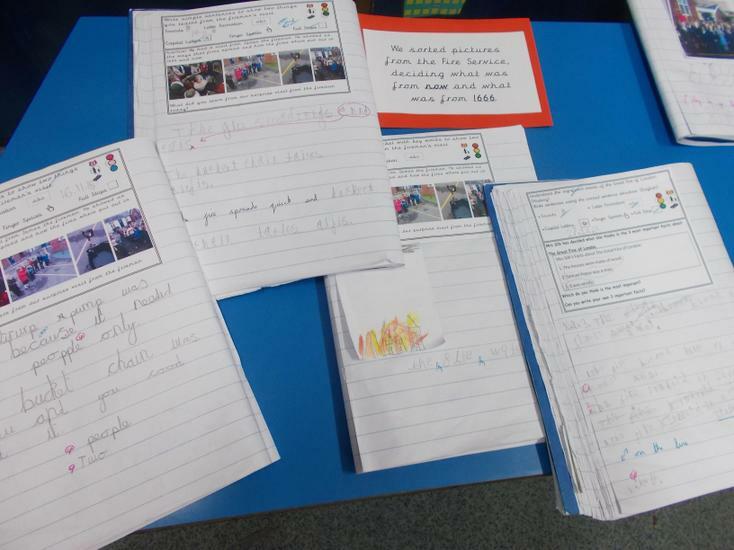 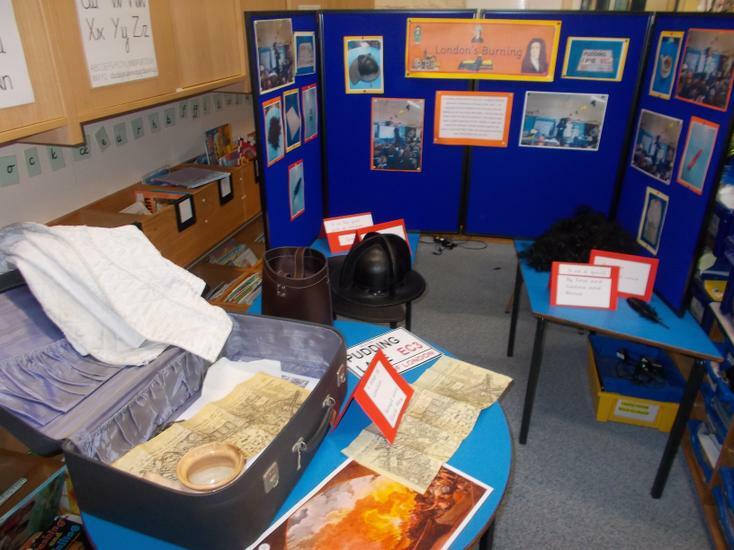 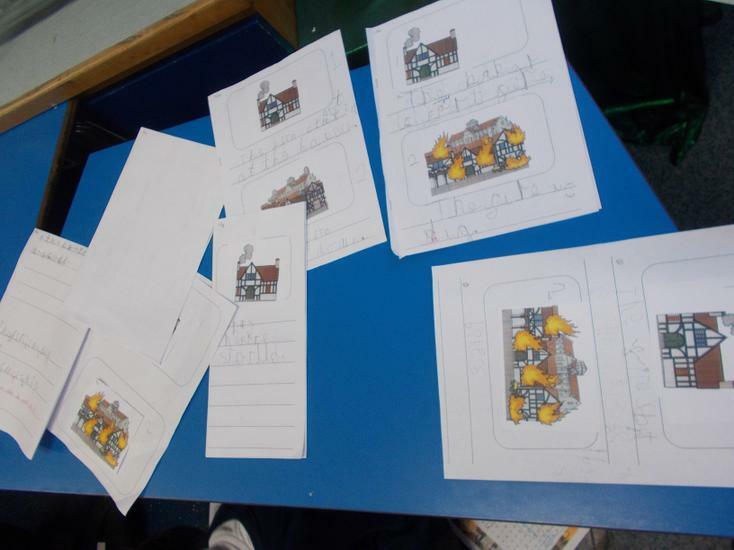 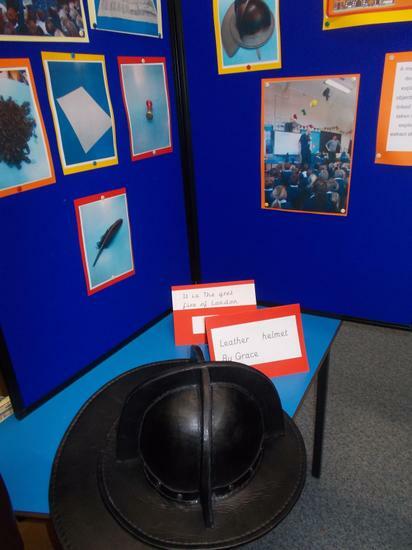 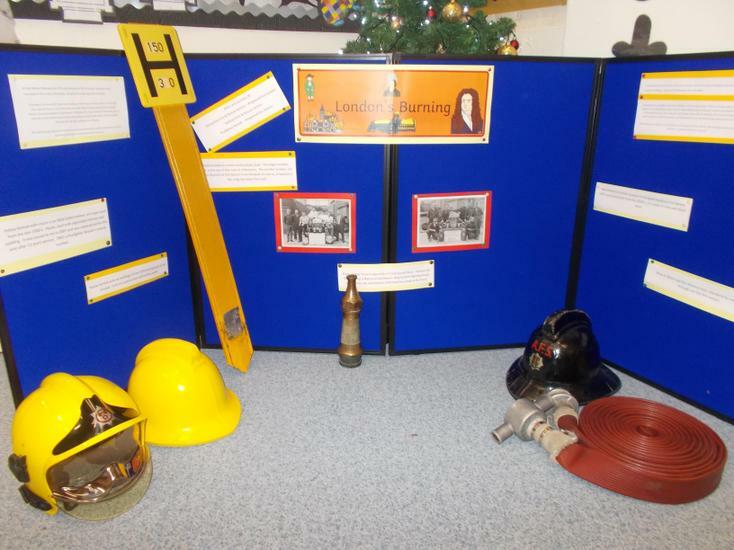 He has asked us to explore what the items are and how they are linked to the Fire Service. 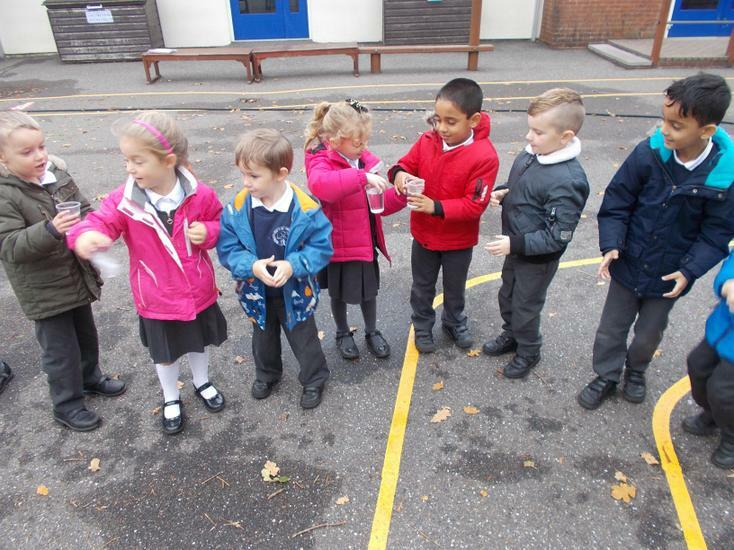 It's time to get busy! 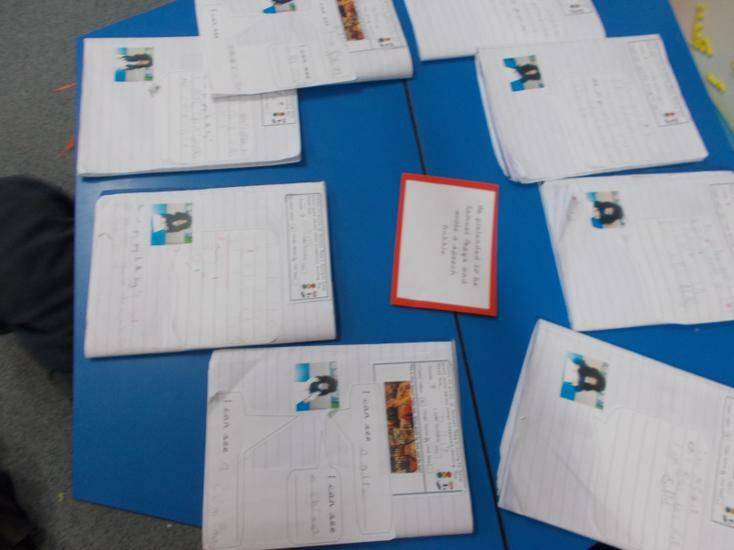 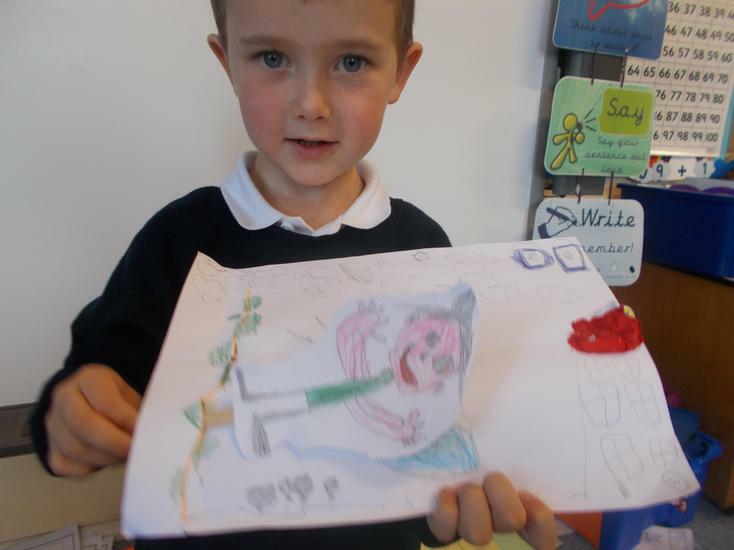 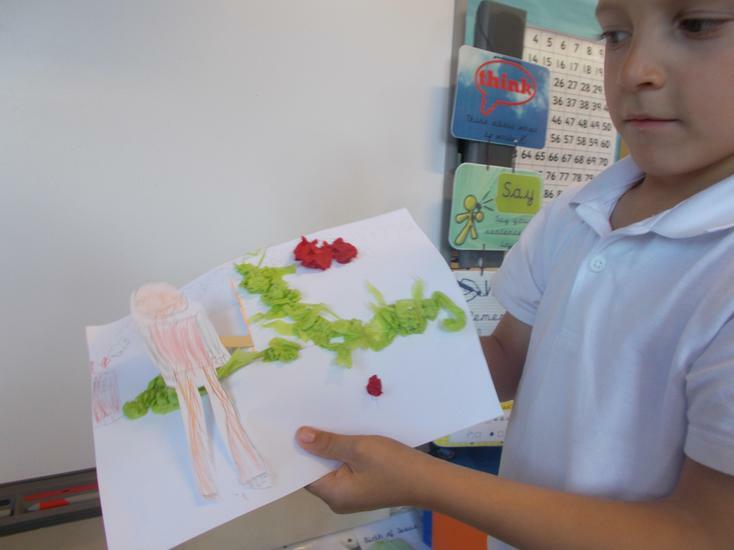 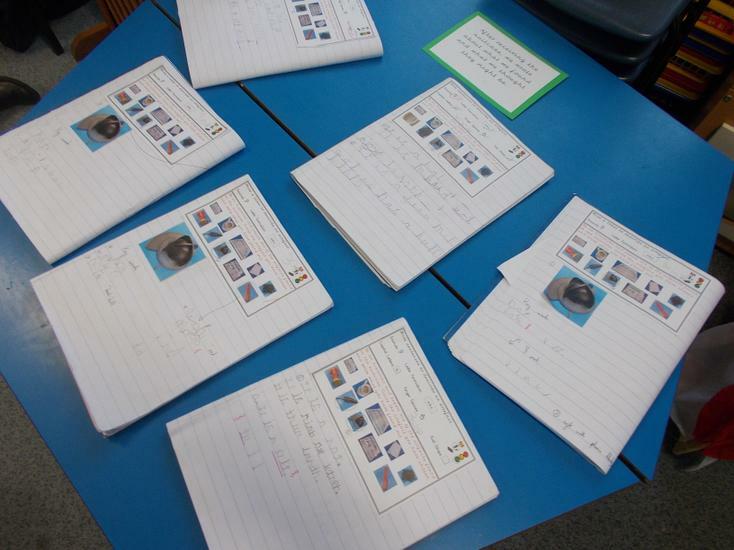 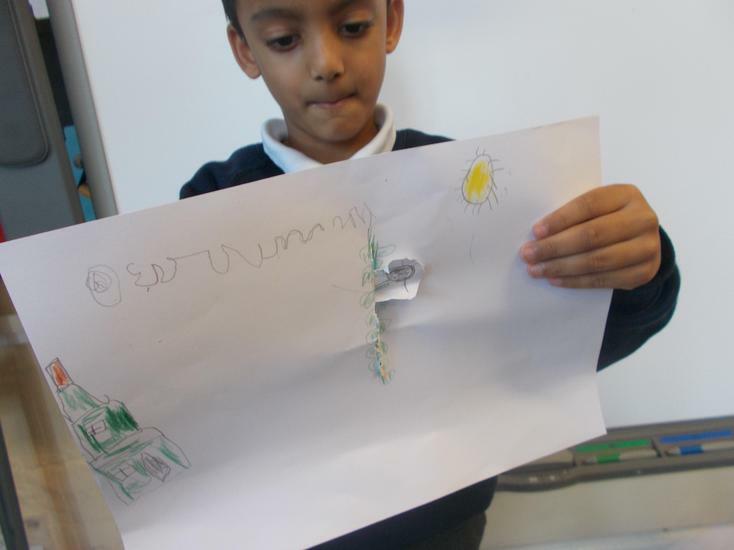 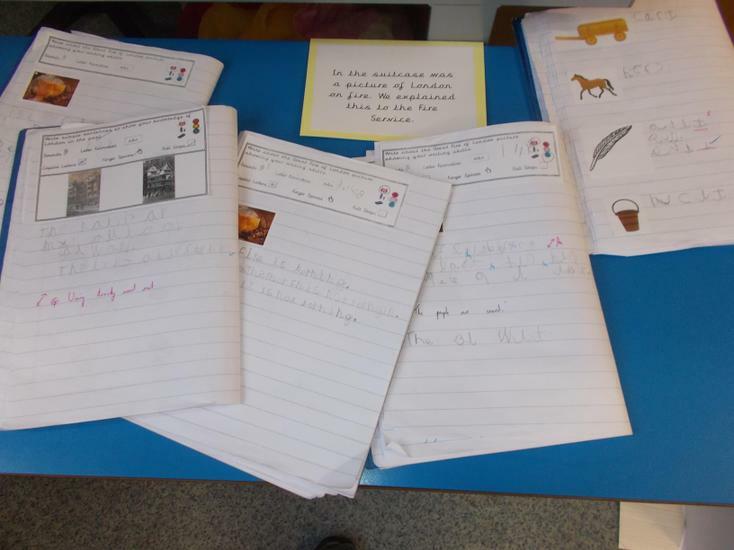 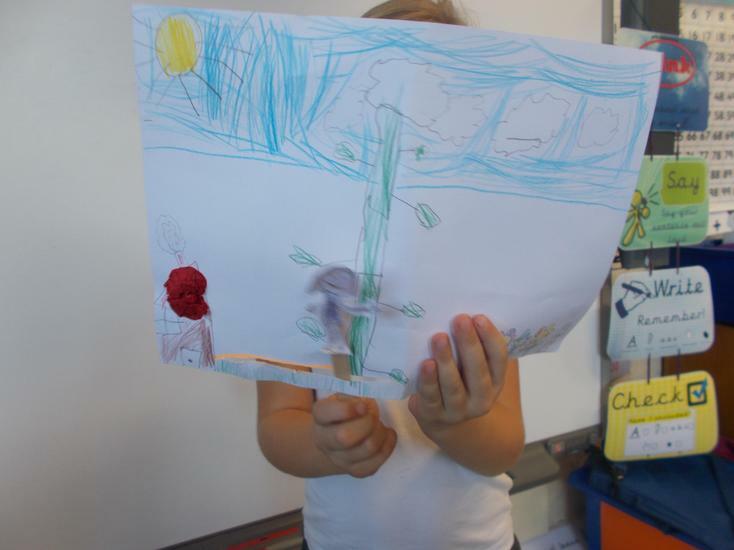 After hearing from Mrs Postman, we researched the giant from Jack and the Beanstalk. 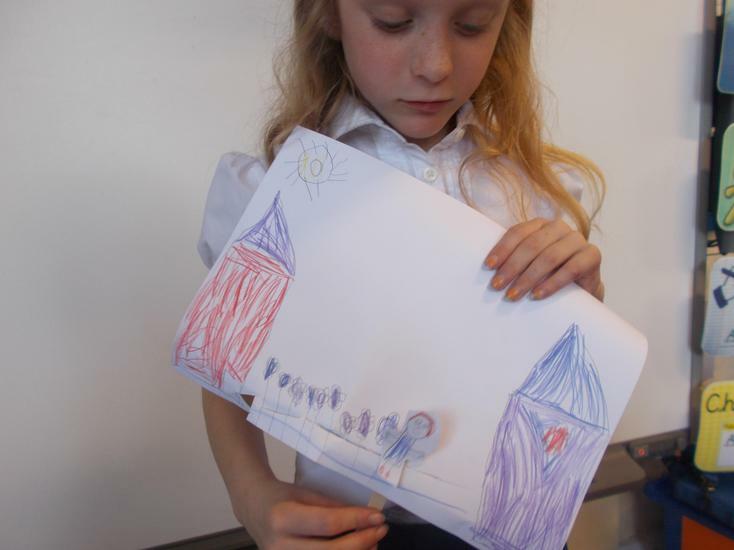 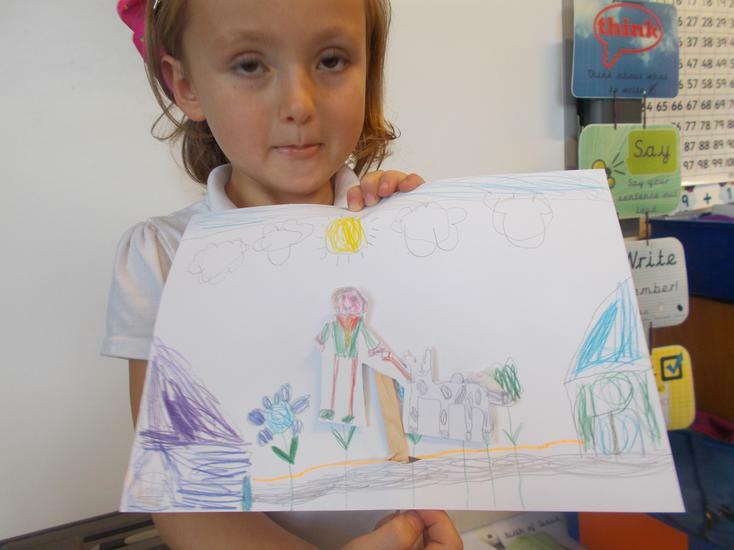 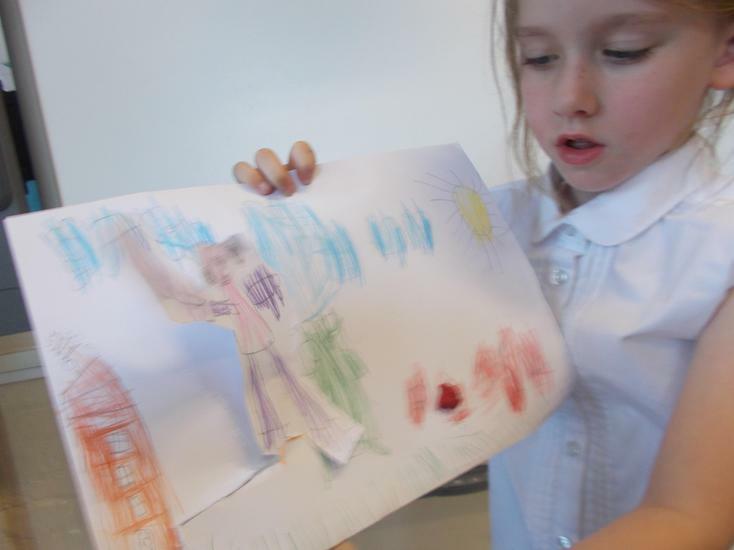 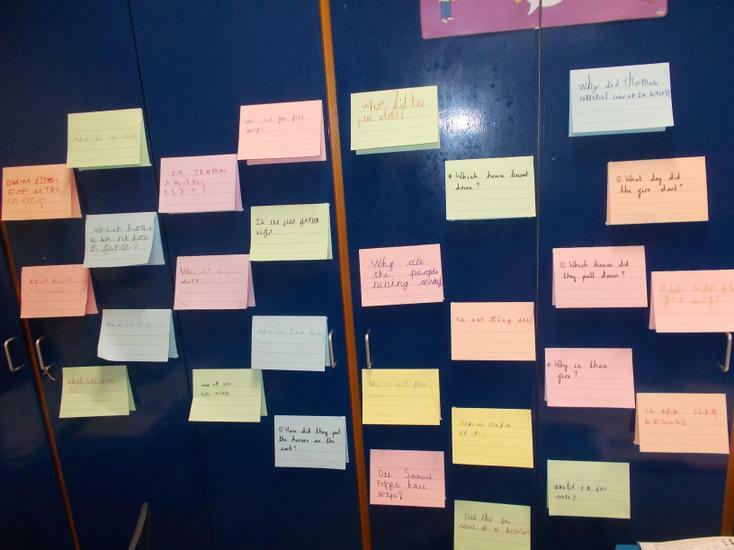 We then made moving pictures to help re-tell the story, with sliders or pivots. 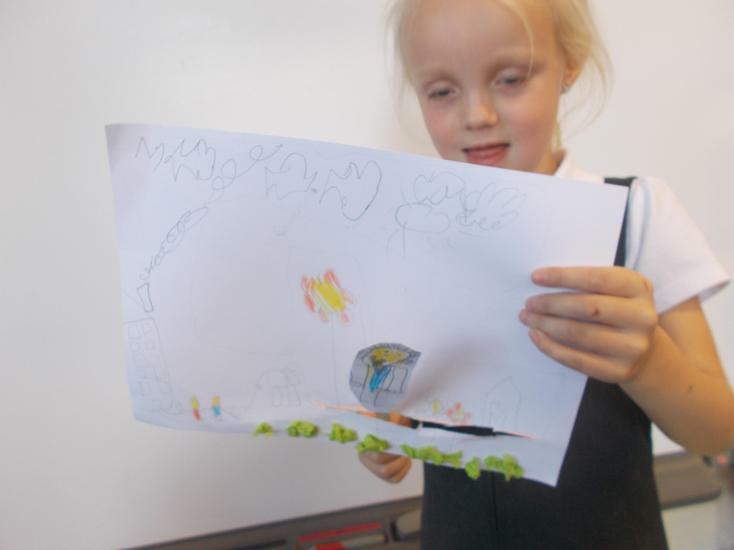 Can you tell which part of the story each picture is about? 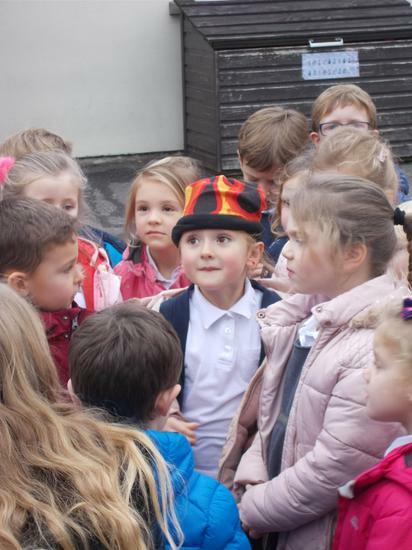 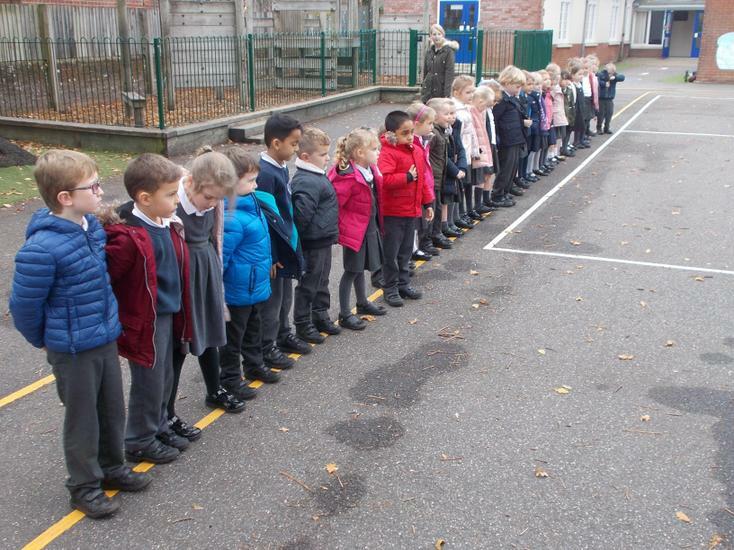 As part of settling into Sika Deer class, we celebrated that although we are all Sika Deer, we are also all different.....a little bit like Elmer. 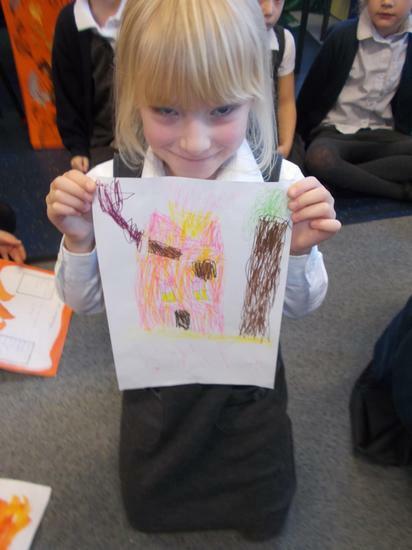 To show this, we made out own 'Elmer style' patchwork Sika Deer and drew a self-portrait, thinking about the different features we have. 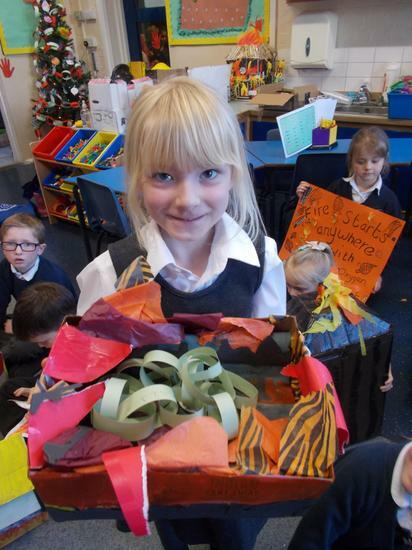 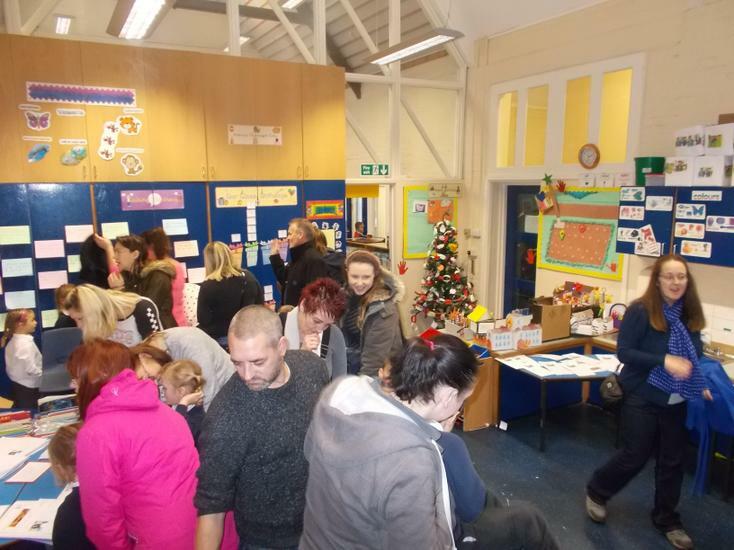 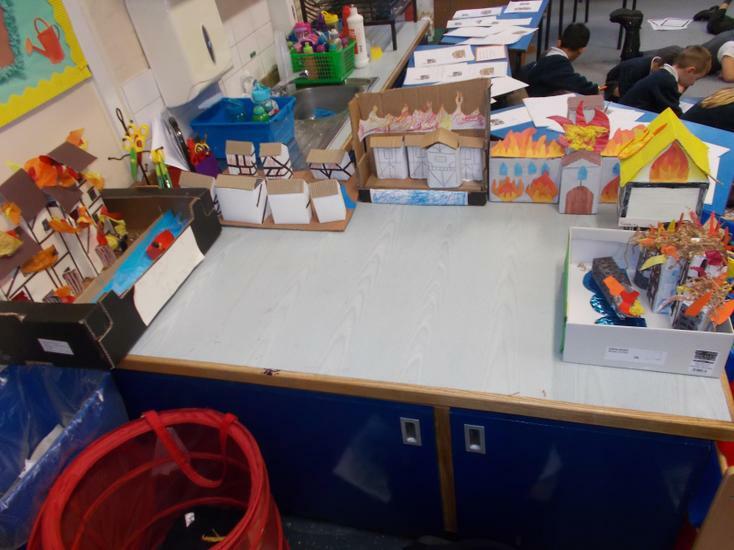 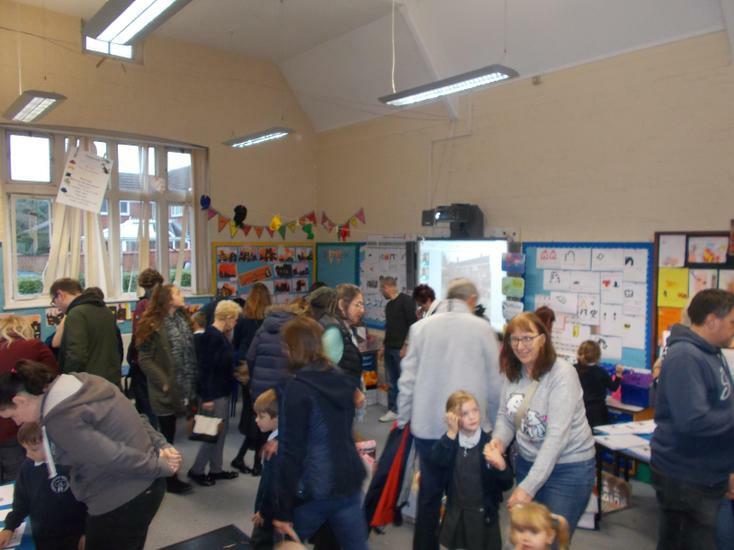 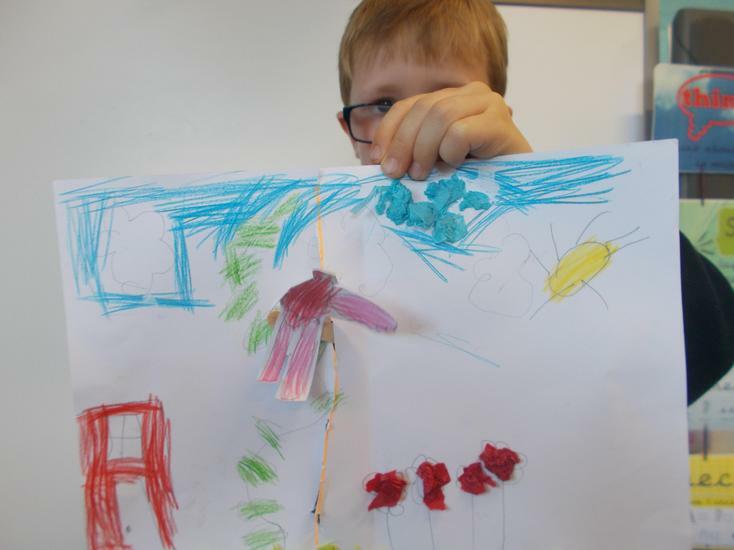 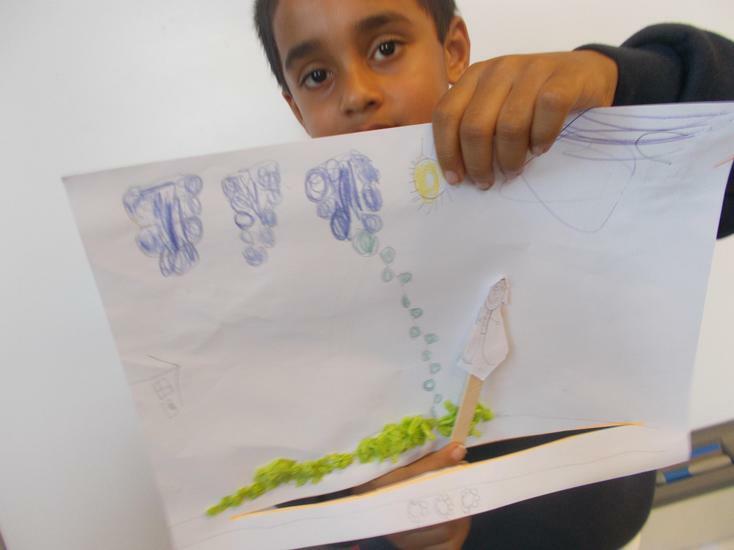 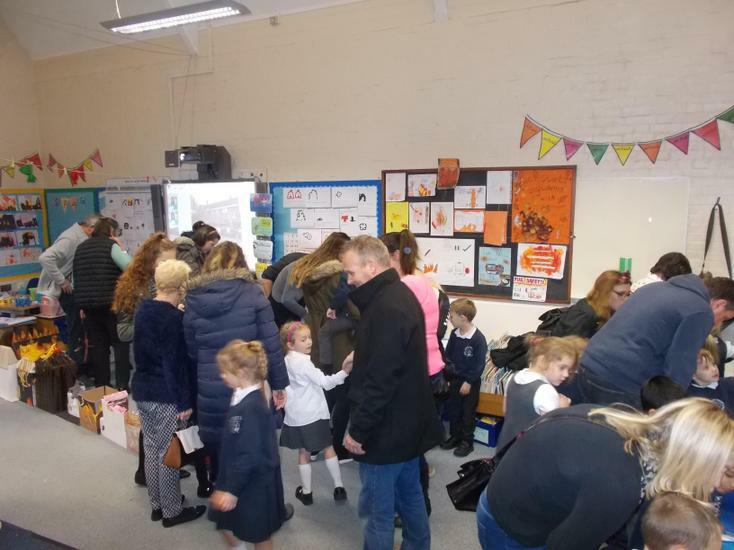 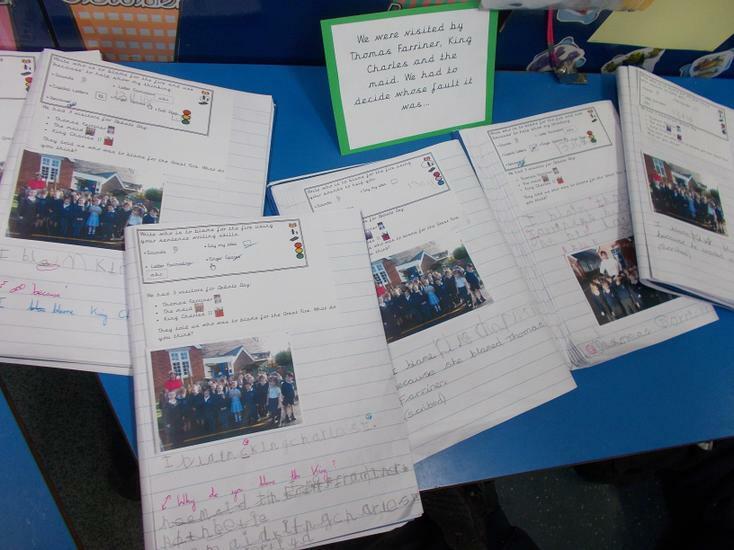 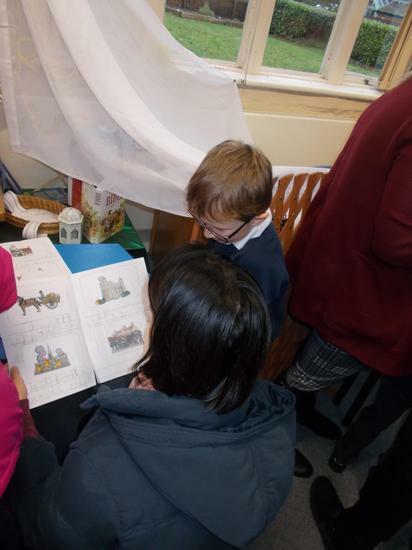 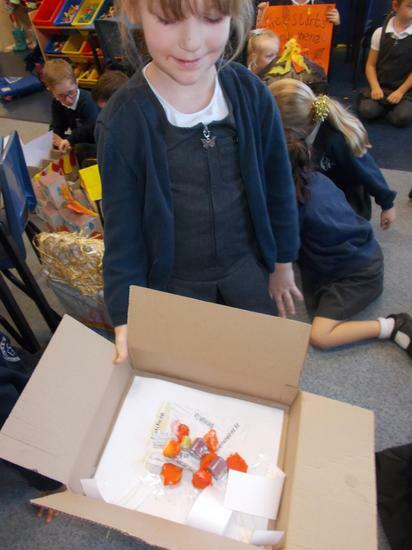 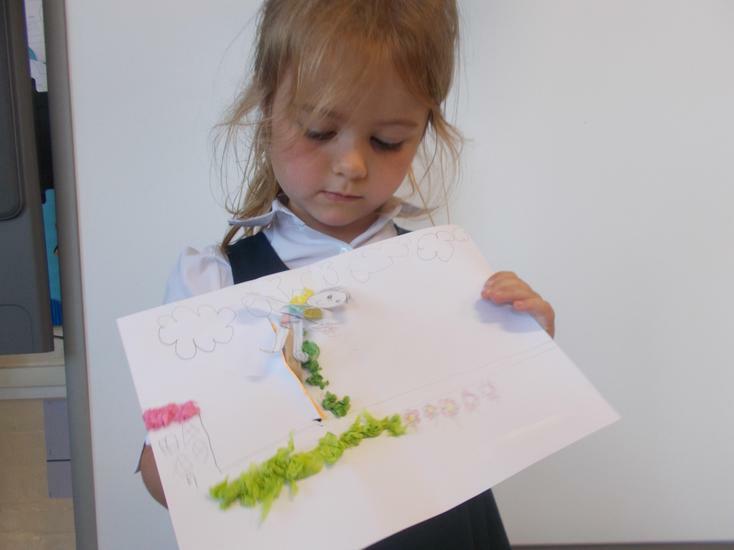 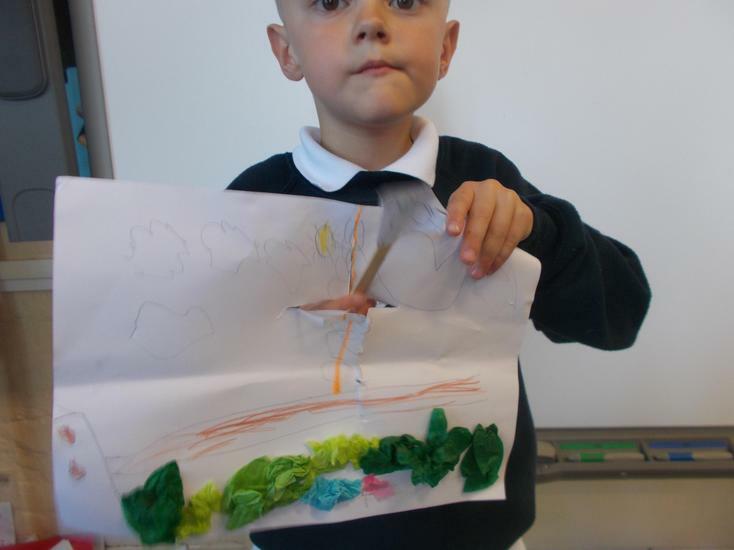 Take a look at our exciting class news, pictures of things we've done, and more. 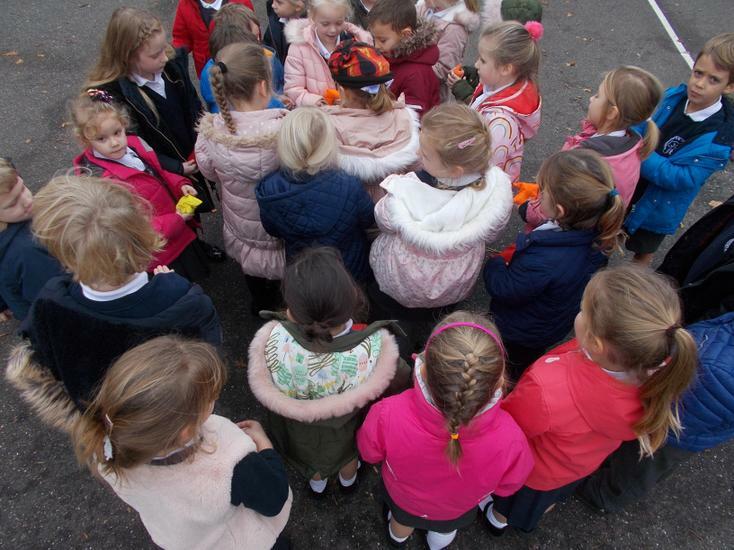 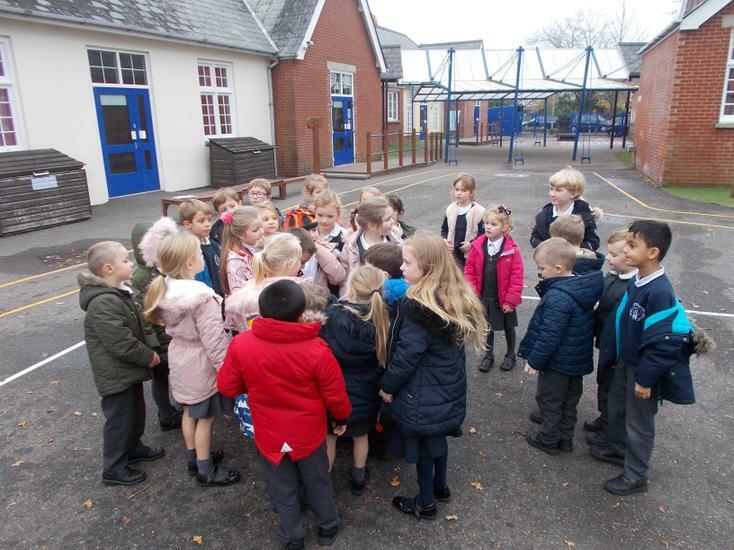 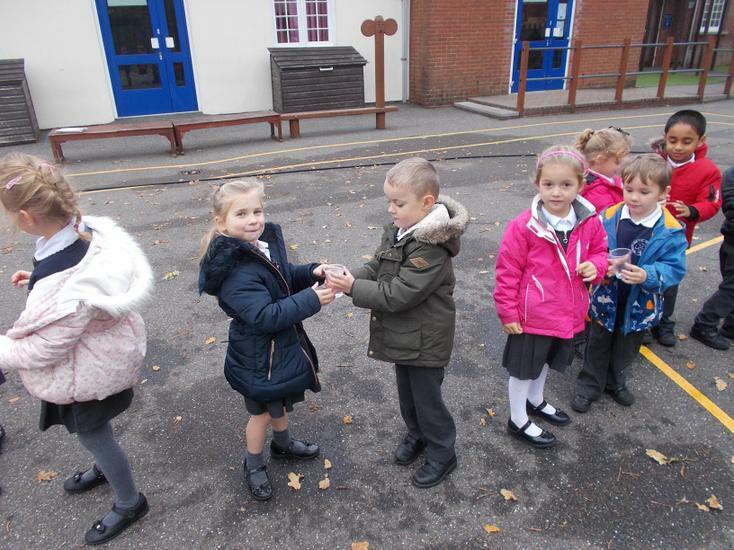 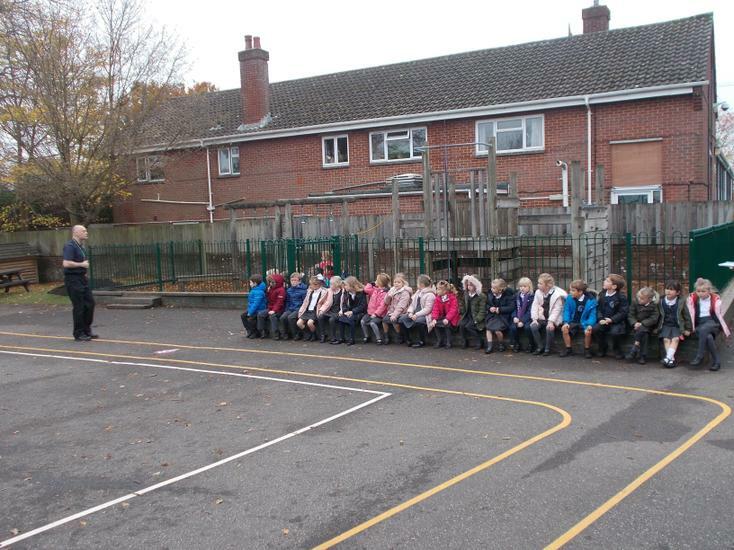 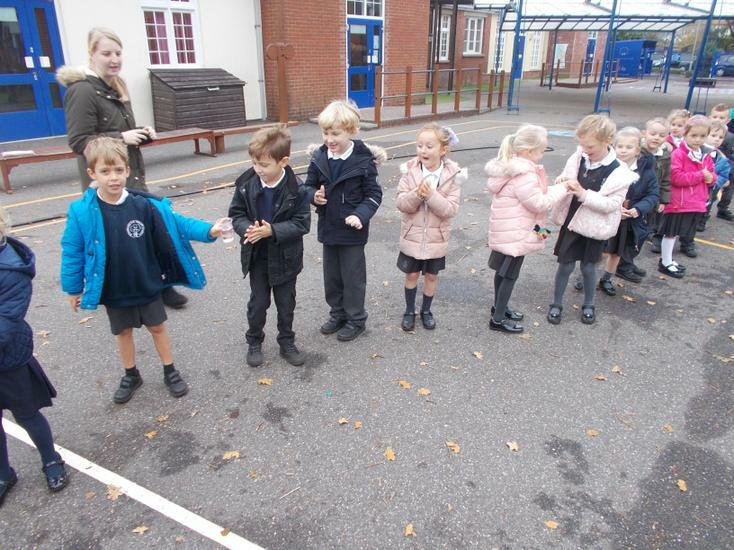 As part of our 'Welcome' IC, we explored the fact that we are all Sika Deers, but all different as well. 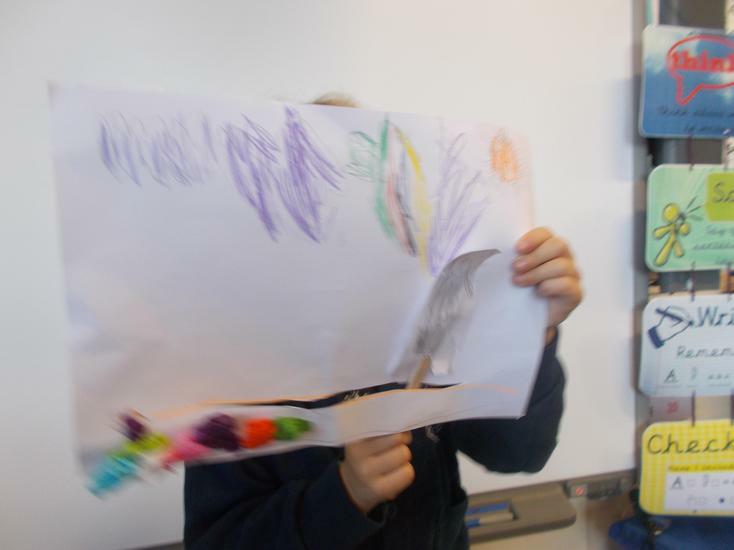 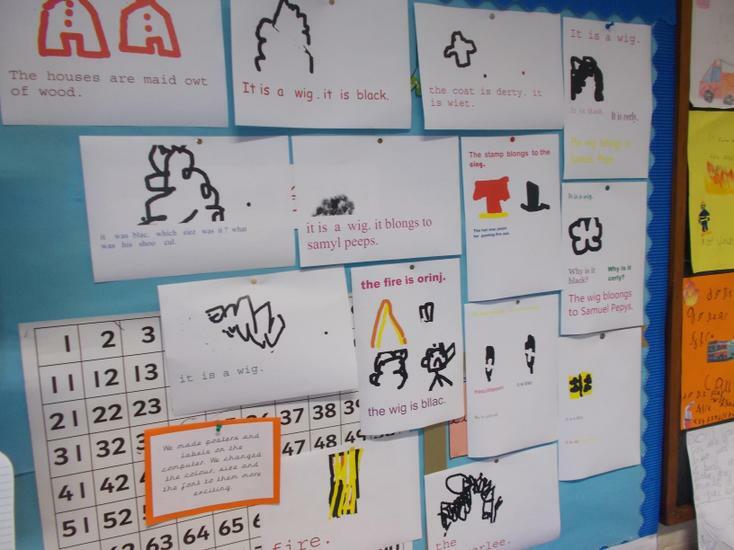 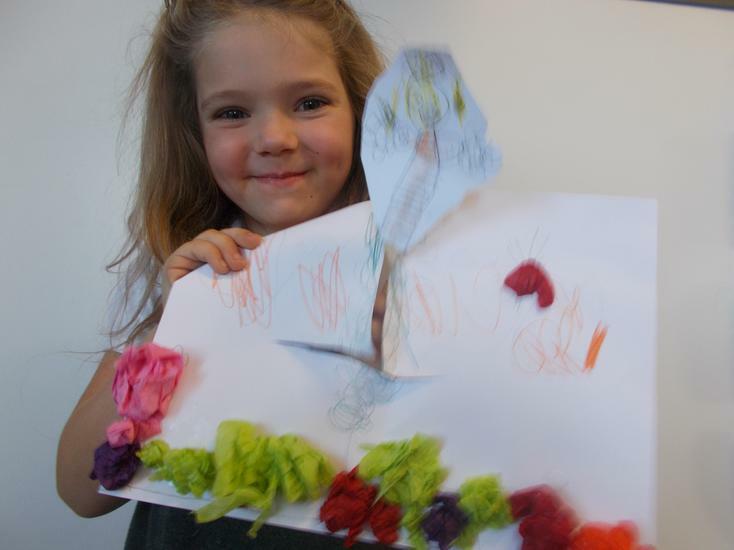 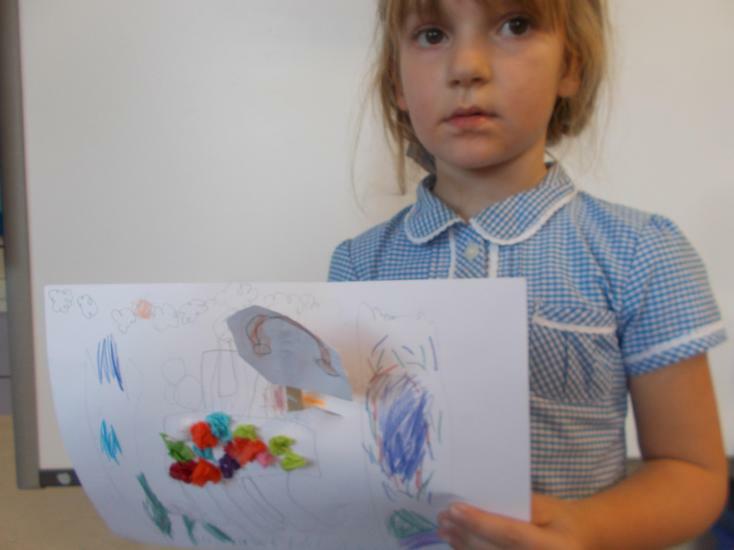 After reading Elmer, we were inspired to make our own Sika Deers that are unique by experimenting with colour. 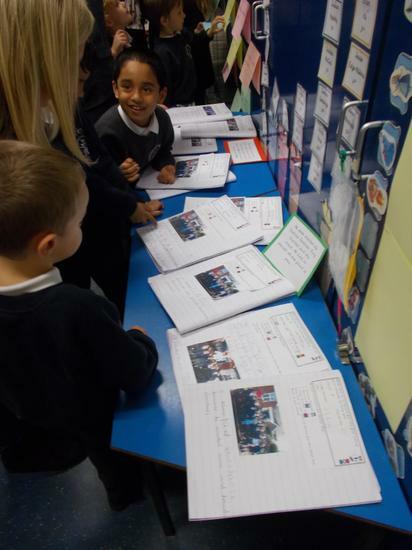 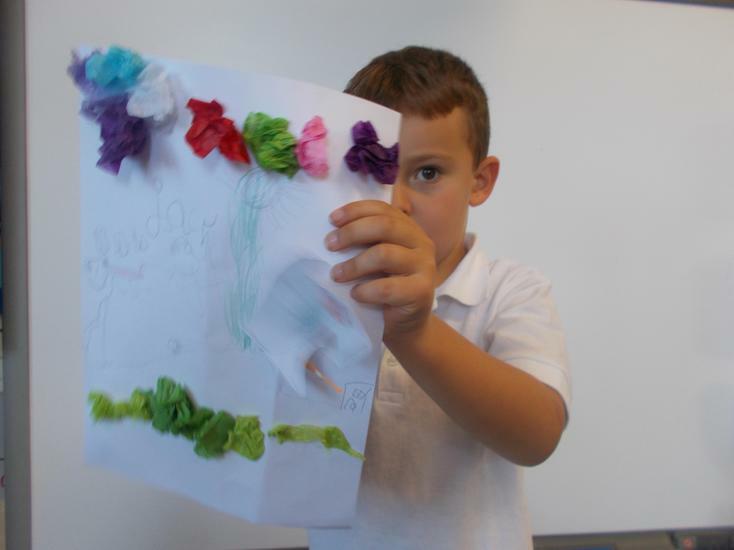 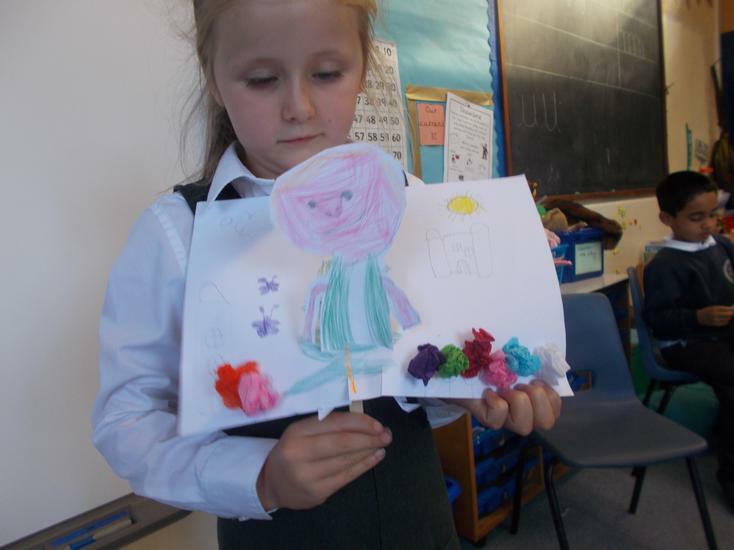 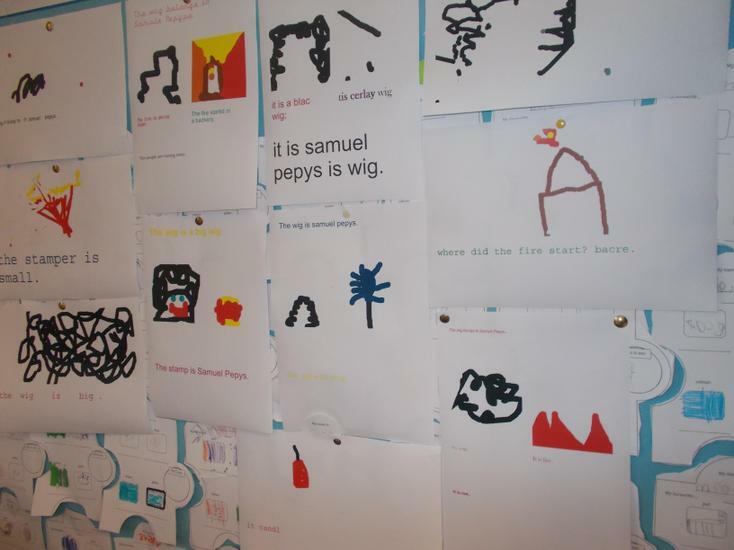 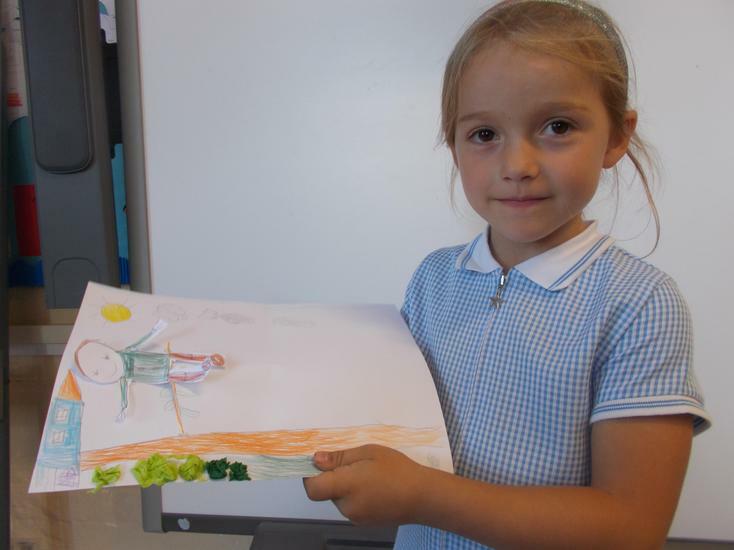 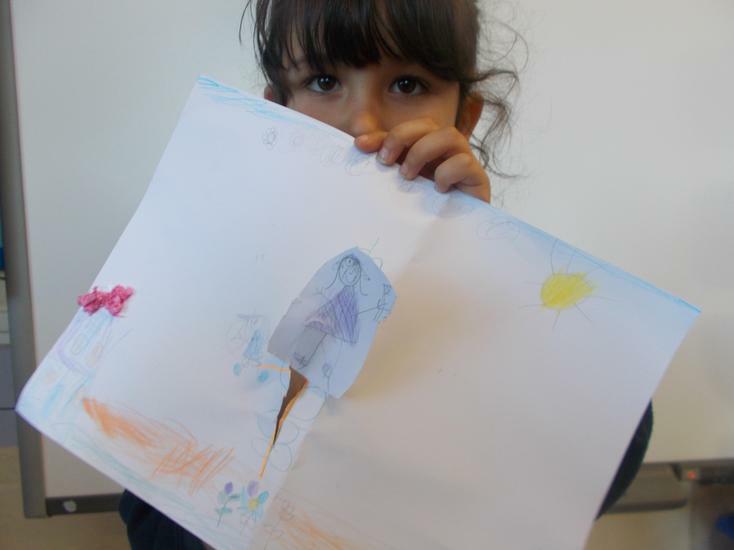 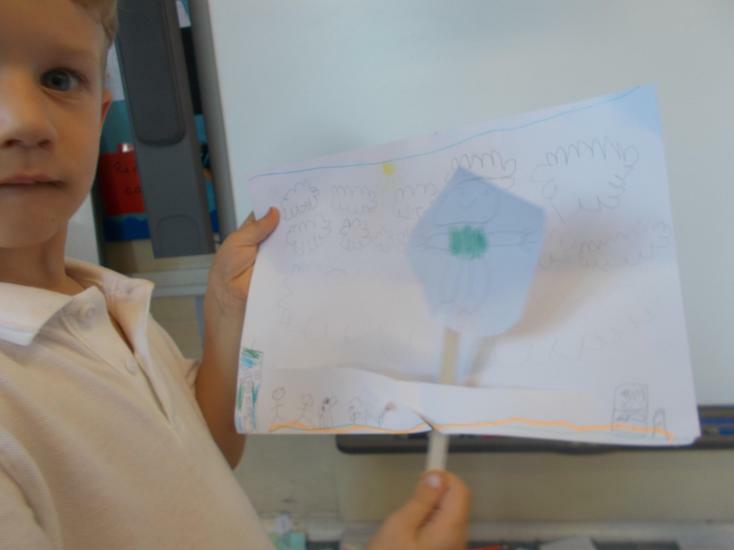 The children were tasked, for Home Learning, to create a poster about themselves. 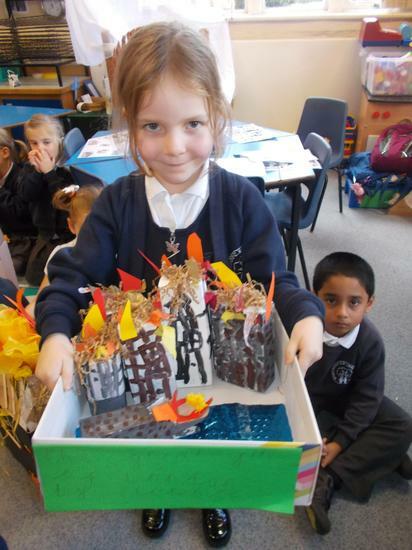 Look at these creations!